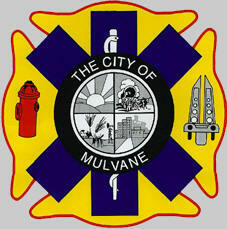 Mulvane Fire Rescue celebrated its 109th year of providing service to the City of Mulvane and surrounding community! 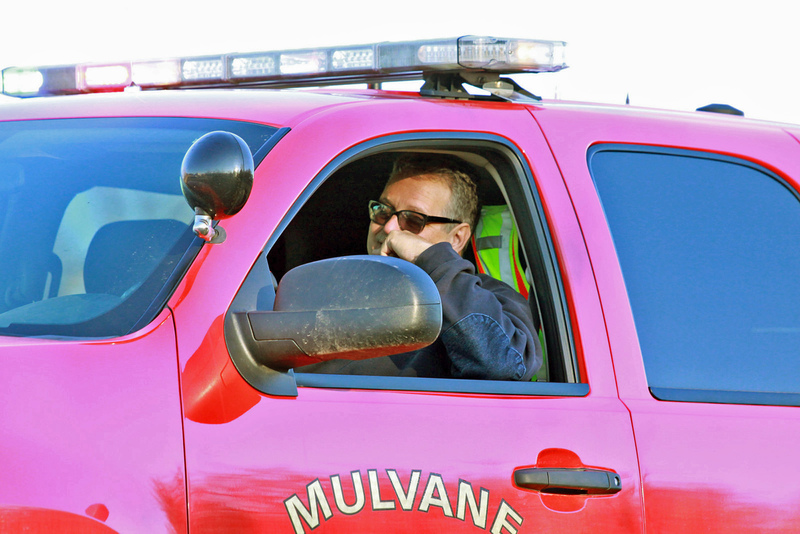 Mulvane Fire Rescue ran 362 Fire Alarms or 1 fire call per day! 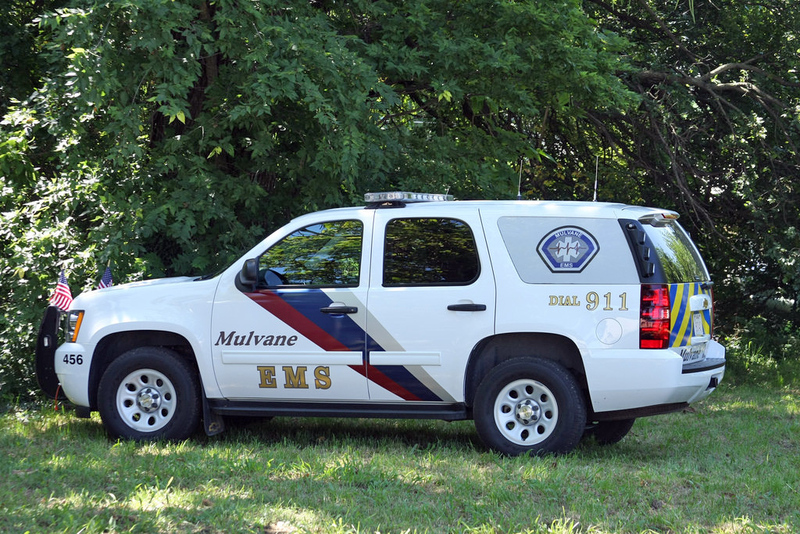 Mulvane EMS ran 1003 calls or 2.75 calls per day! 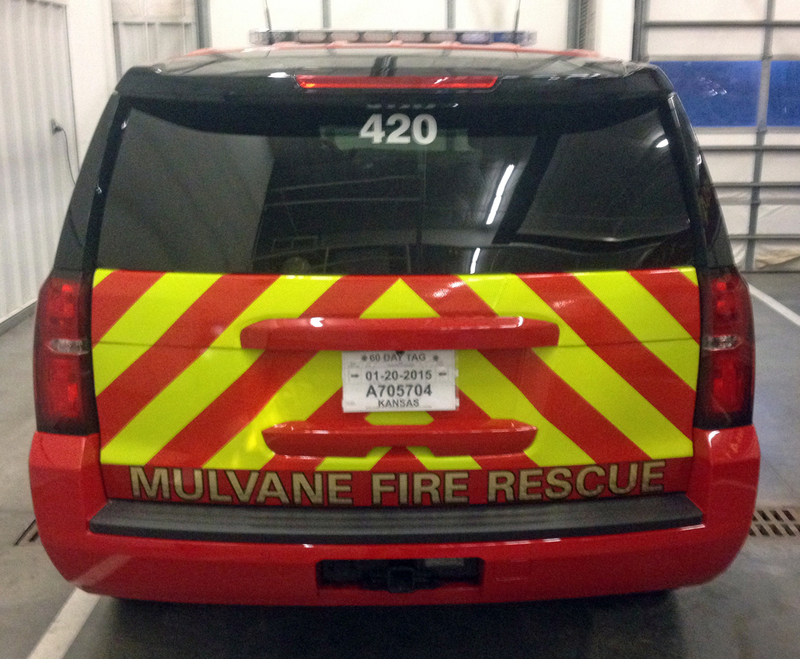 Mulvane EMS puts a second full time Paramedic truck in service 24/7. 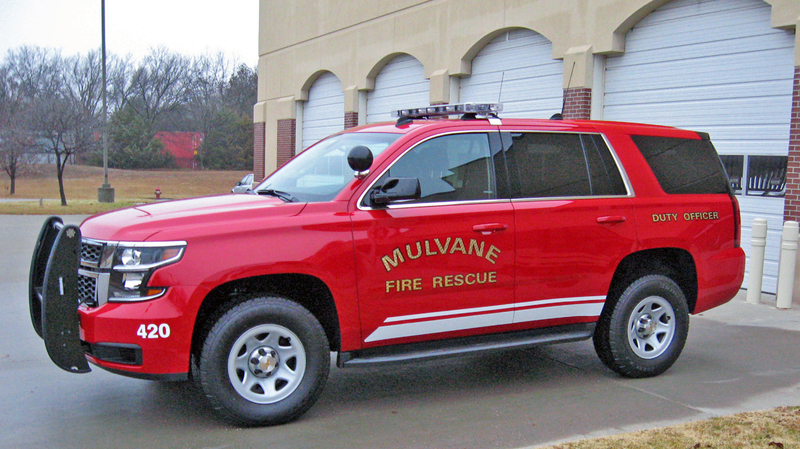 Mulvane Fire Rescue receives a new 2015 Tahoe Duty Officer Vehicle Dec. 1st! 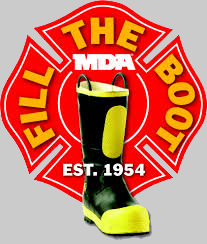 Mulvane Fire Rescue raises $5,500 for MDA in boot drive! 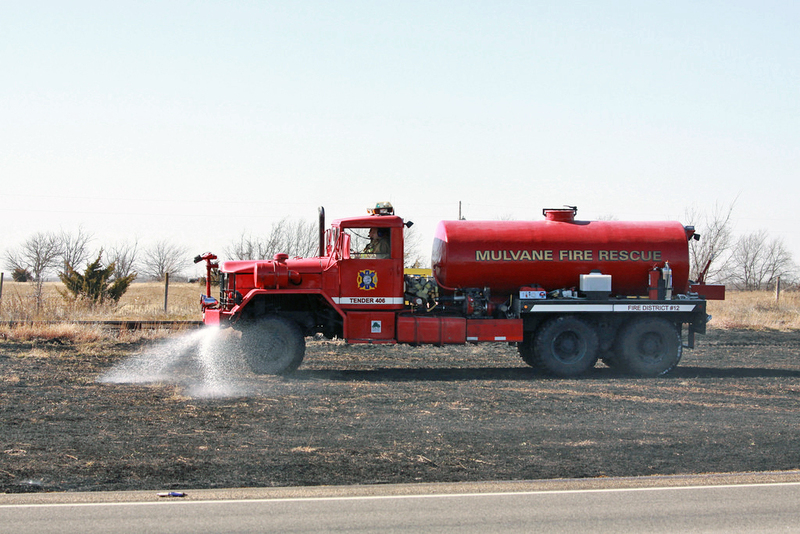 Mulvane Fire Rescue received a $2,500 grant from the Forestry Service for a foam system on B-407! 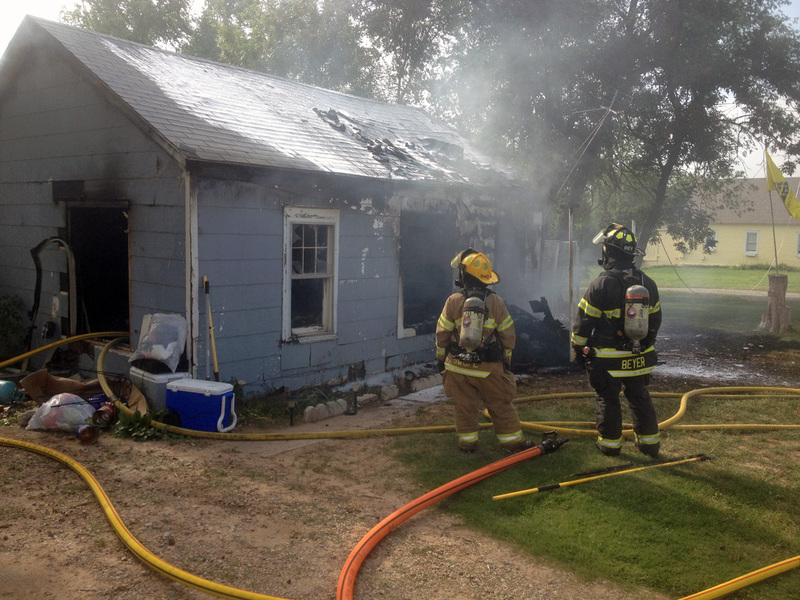 Fire Prevention crews visited approximately 600 children in 4 preschools and grades Pre-K thru 2 this year. 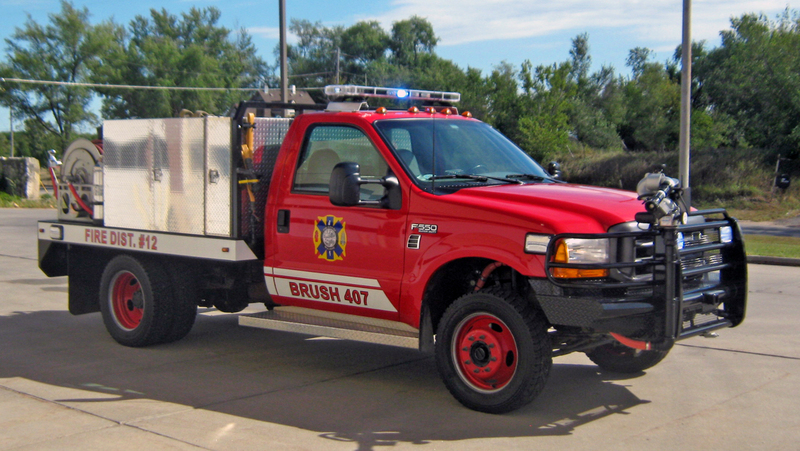 Brush 407 was placed in service October 1st! 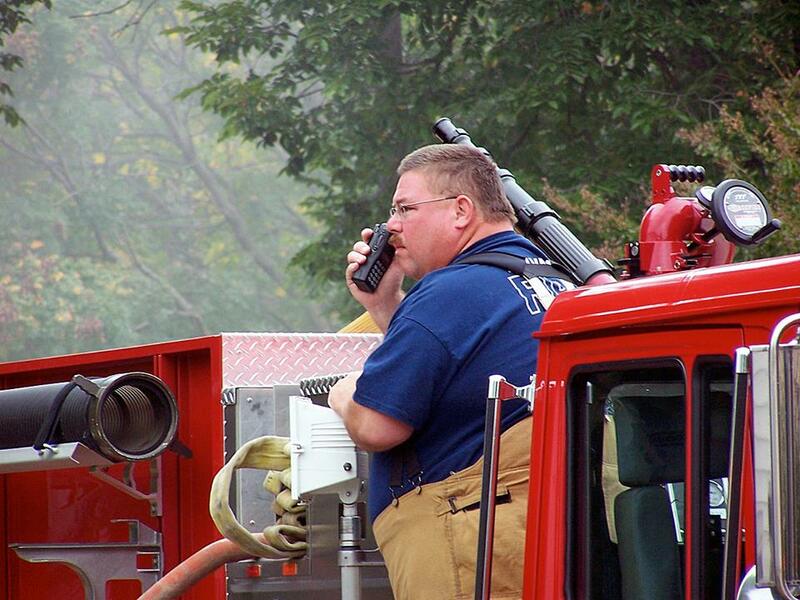 Firefighters mourned the loss of FF1/EMT Jimmy Reed in September. 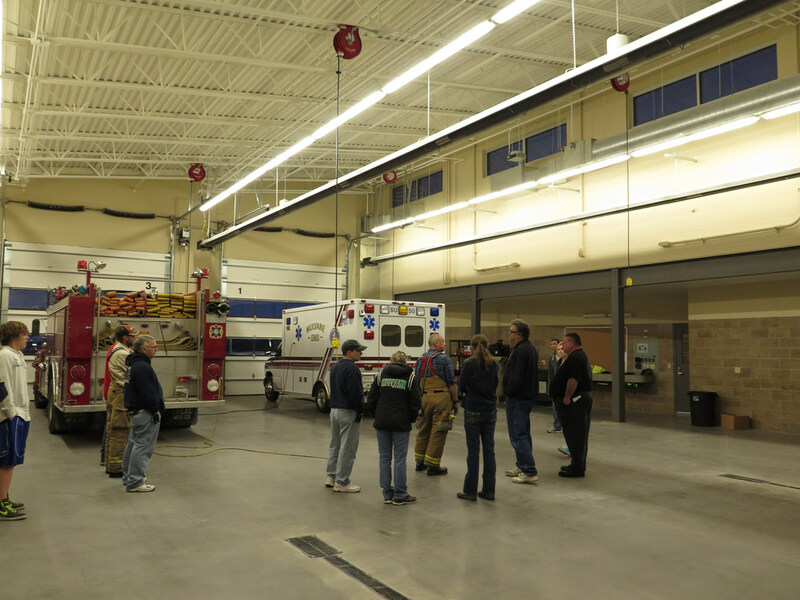 9 members attend KU FF-1 class taught by Lt. Mike Fells. 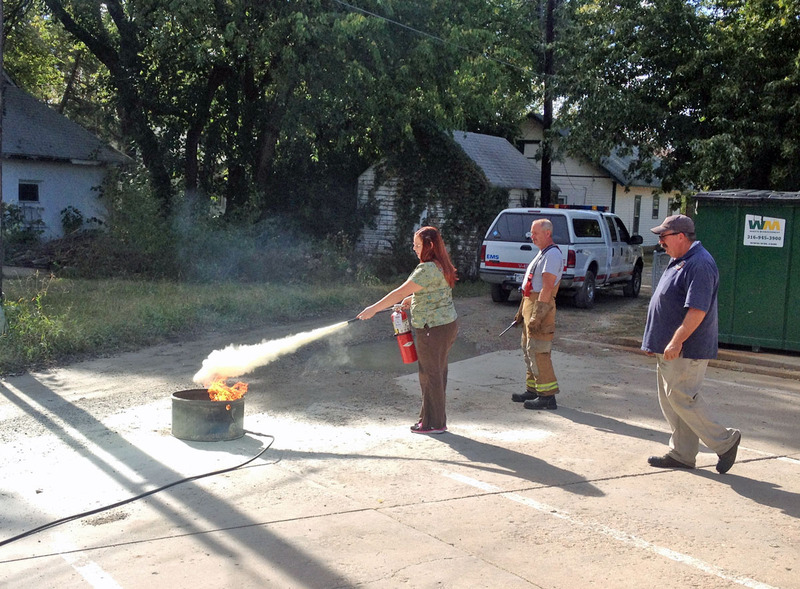 10 members attend KU Haz-Mat Operations class taught by Lt. Mike Fells. 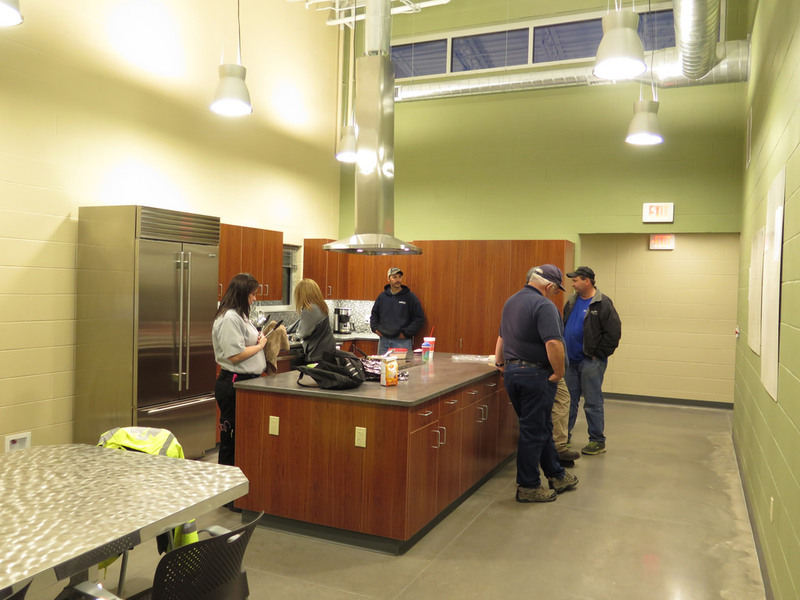 Fire & EMS substation #2 opened at the Kansas Star Casino. 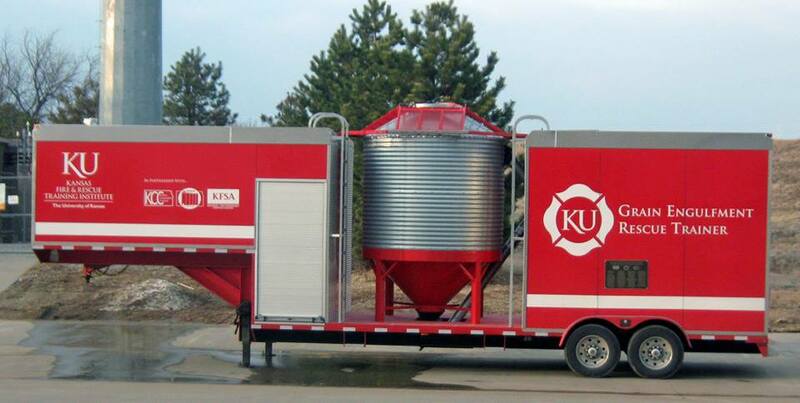 Mulvane Fire Rescue hosts the KU Grain Engulfment Training trailer. 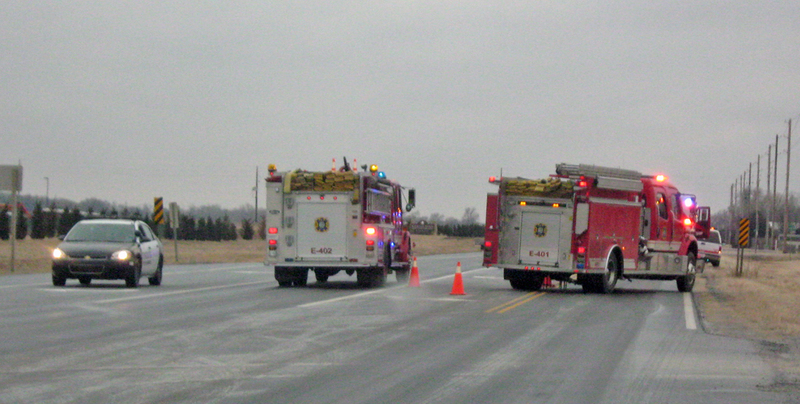 Mulvane Fire Rescue with FD #12 starts a rural address marking program. 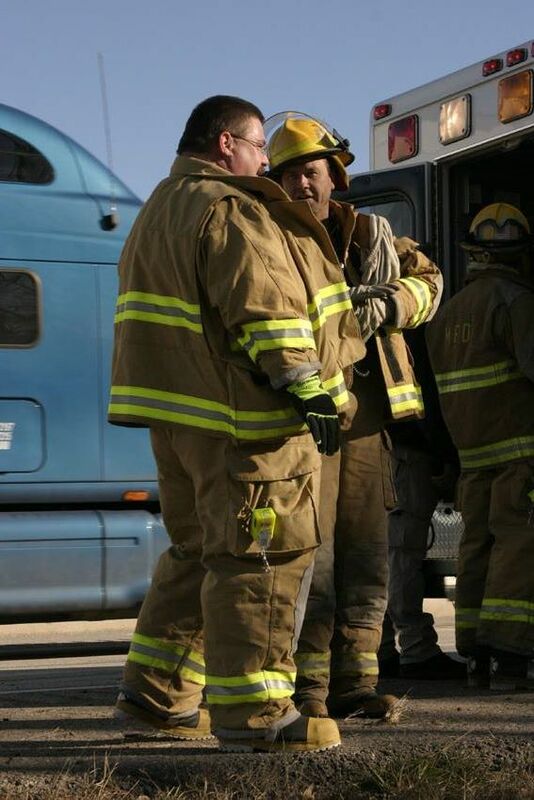 FF2/EMT Fred Heersche is hired as full time Fire Lieutenant. 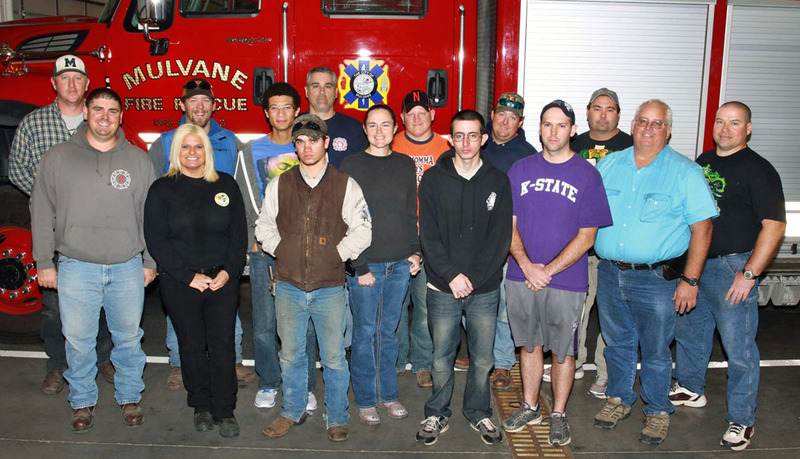 Mulvane Fire Rescue welcomes 6 new members into its ranks. 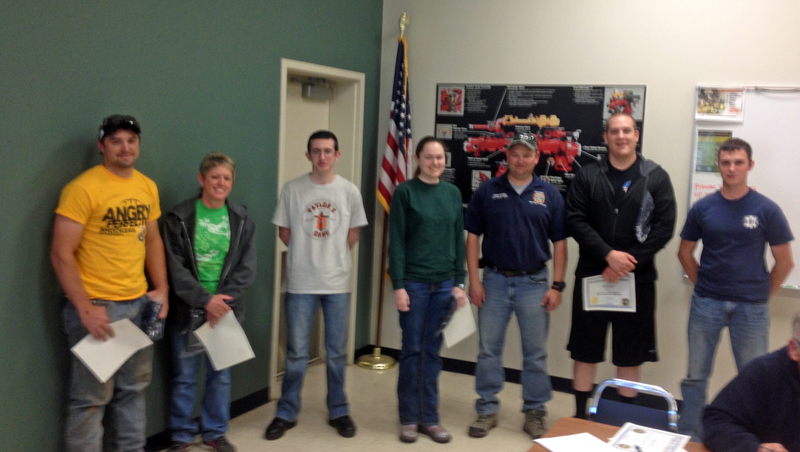 Congratulations to: FF/EMT Megan DeVries, FF Doug Wilson, FF Jaman Rogers, FF/EMT Skyler Reynolds & FF Kathy Rogers. FF AJ Mattson was promoted up from the Fire Reserves. 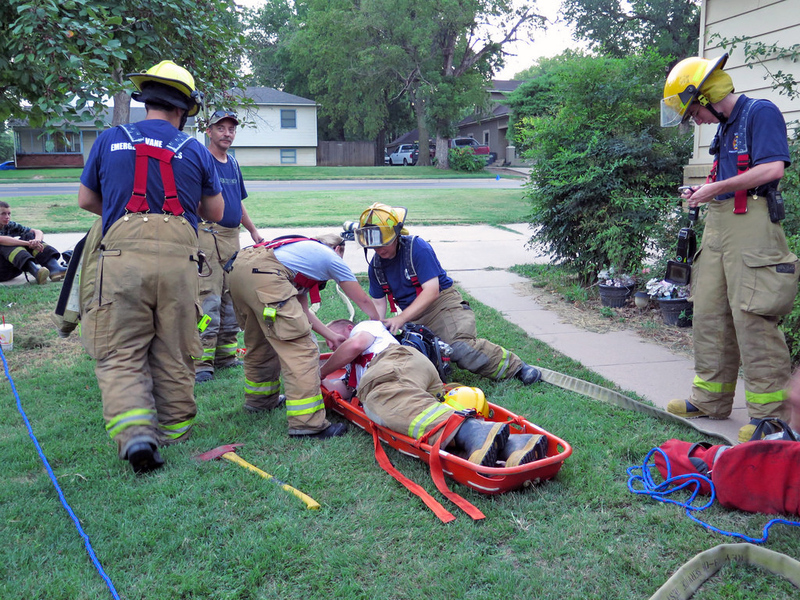 Mulvane Fire Reserves welcomes 3 new members! Congratulations to: Nick Parton, Henry May & Preston Tatum. Congratulations to: Kay Humpries, Amber Blankenship, Angela Gatschet, Ashley Zorn, Francine Harp, Gary Gayer, Jennifer Lover, Mike Sanchez, Patrick Sellers, Dustin Morgan & Jesse Fuller. 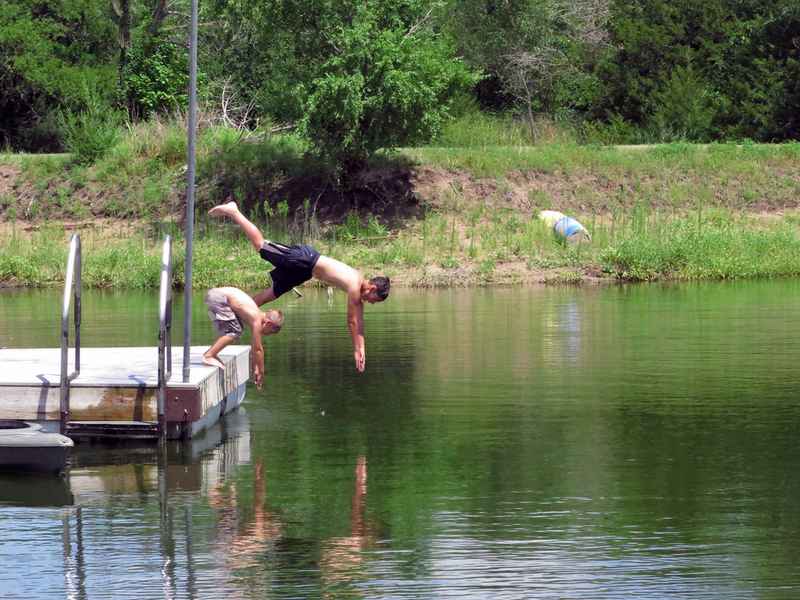 CLICK here to see a 2014 YEAR in REVIEW movie! 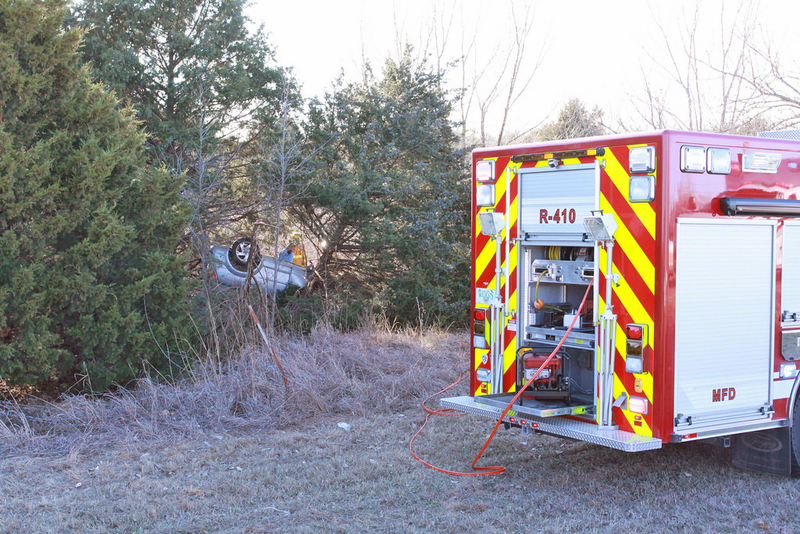 MVA rollover south of Mulvane leaves one dead, one in serious condition. 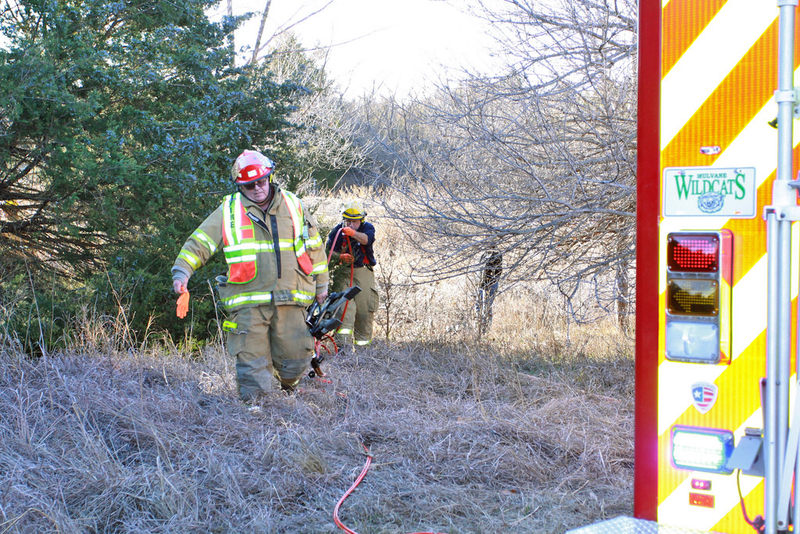 Driver was pinned in the vehicle for a short time. 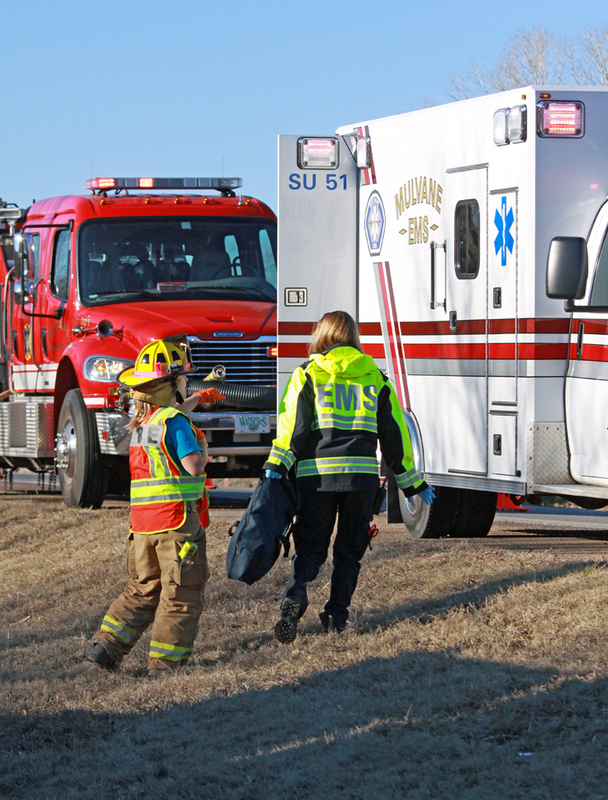 A medical condition prior to the accident may have contributed to the crash. 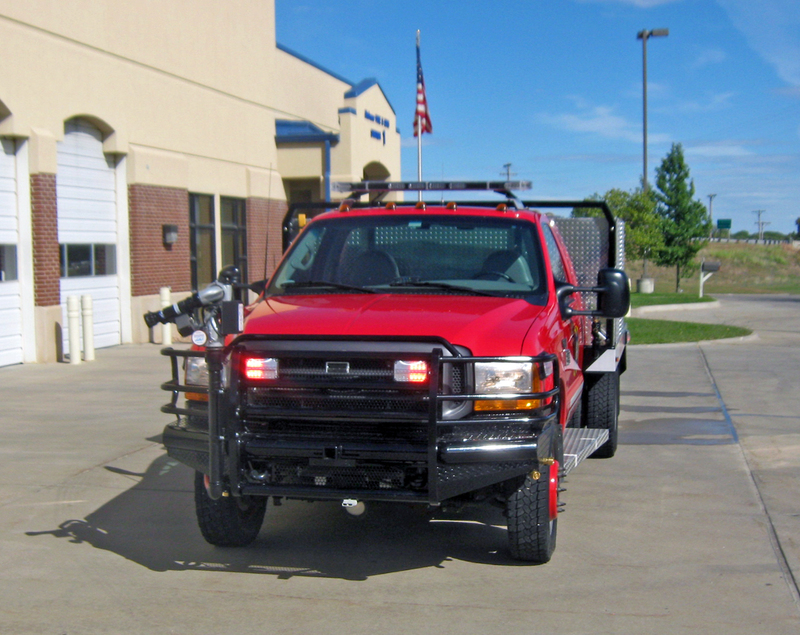 New Duty Officer vehicle in service. 2015 Chevy Tahoe, 4x4 Special Services package. 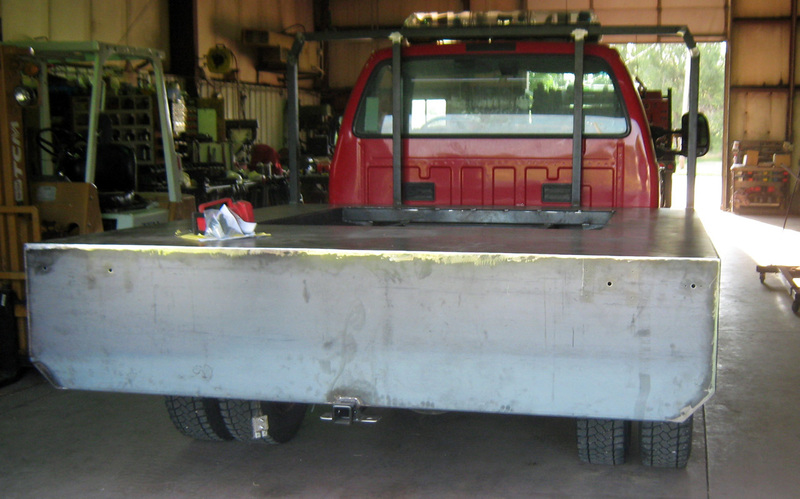 2002 Ford F-250 XLT Crew Cab. With a topper. 105,000 miles. Sold as is via sealed bid. 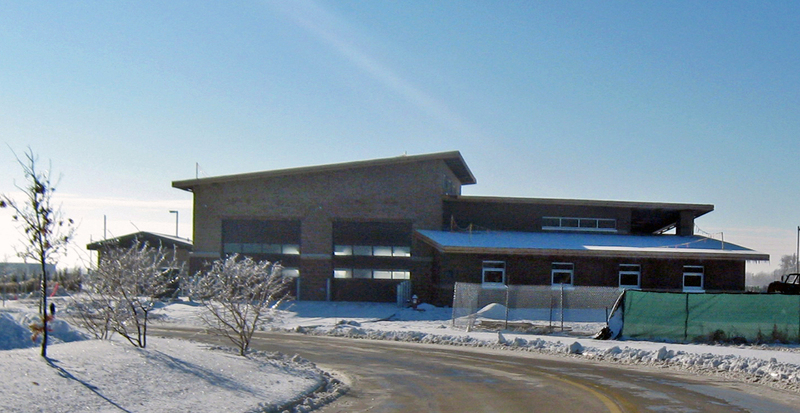 Bids must be submitted no later than noon on 12-17-14 to Chief Williams, Mulvane Police Dept. at 211 N. 2nd. 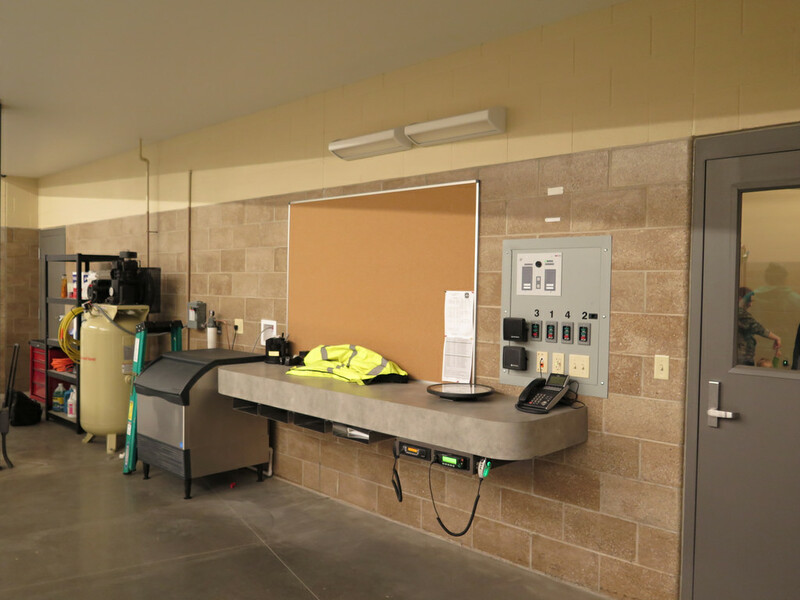 Emergency Equipment and Decals have been removed. 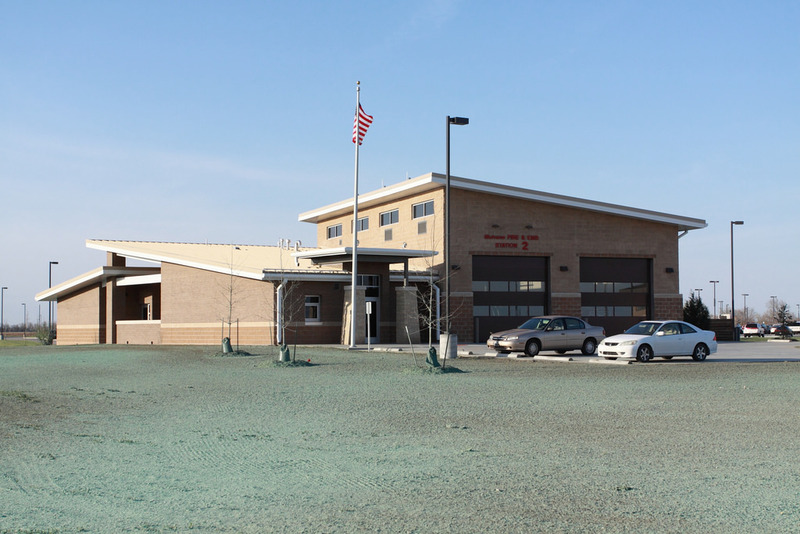 Fire Department recruits needed for January Class! 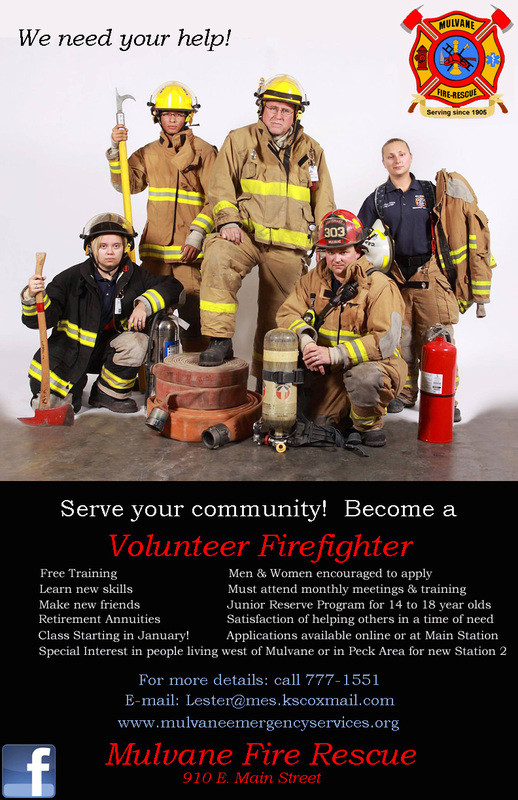 Youth Fire Reserve Application (14 to 18 yo)! 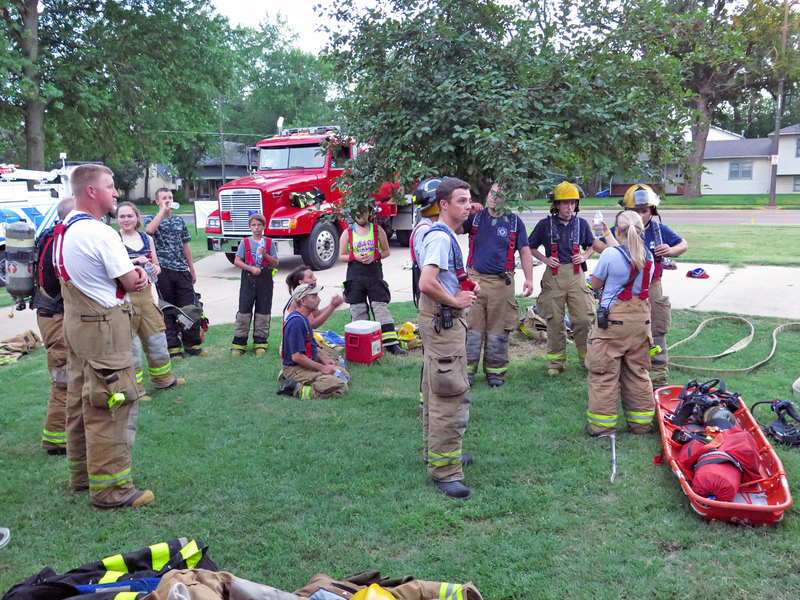 9 members of Mulvane Fire Rescue are attending Firefighter 1 taught by KU Instructor Mike Fells. 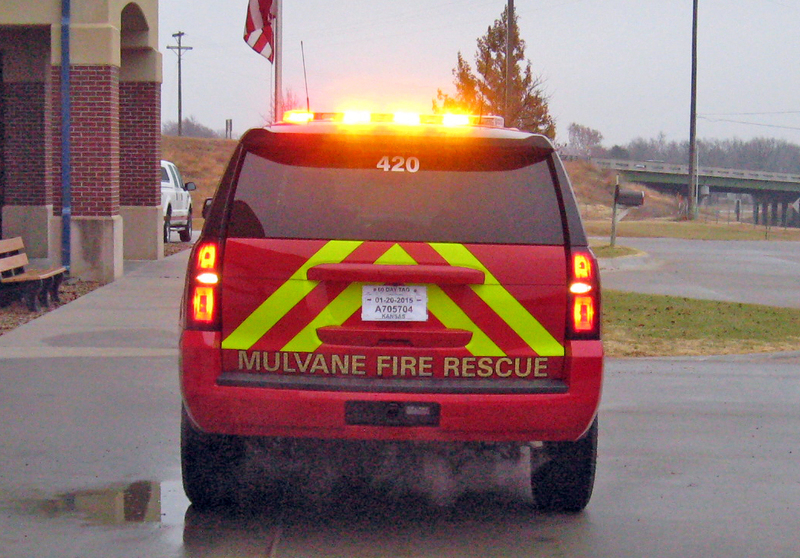 In cooperation with Sumner County Fire District #12, Mulvane Fire Rescue is installing reflective rural address markers. 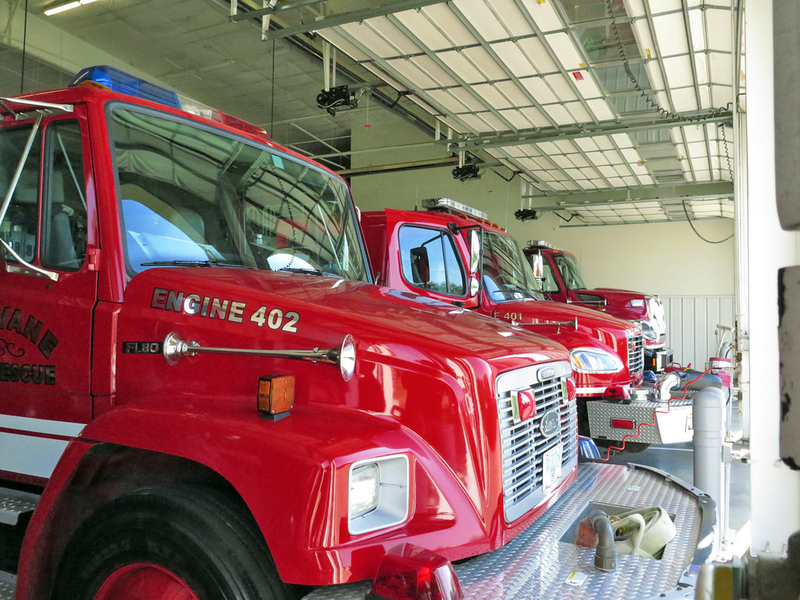 These are to help Emergency Responders find your address & driveway to your home. 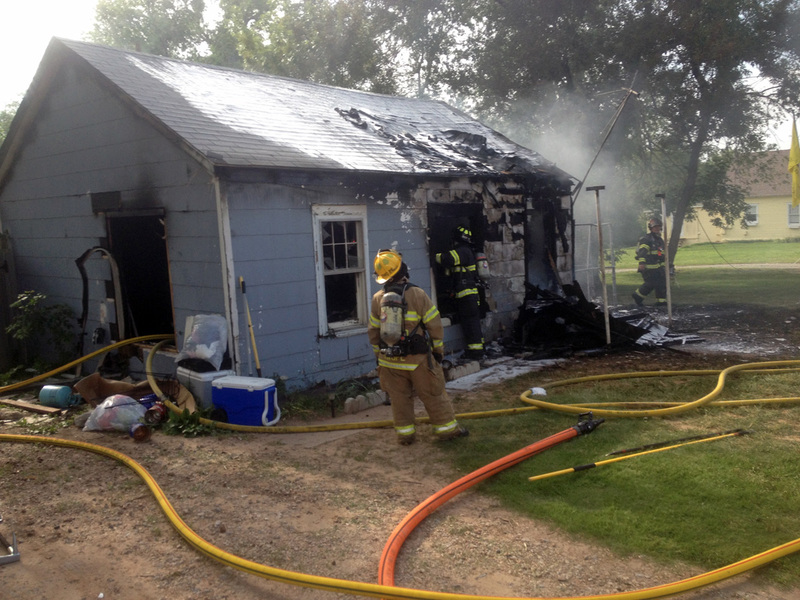 If you have questions call Mulvane Fire Rescue at 316-777-1551. 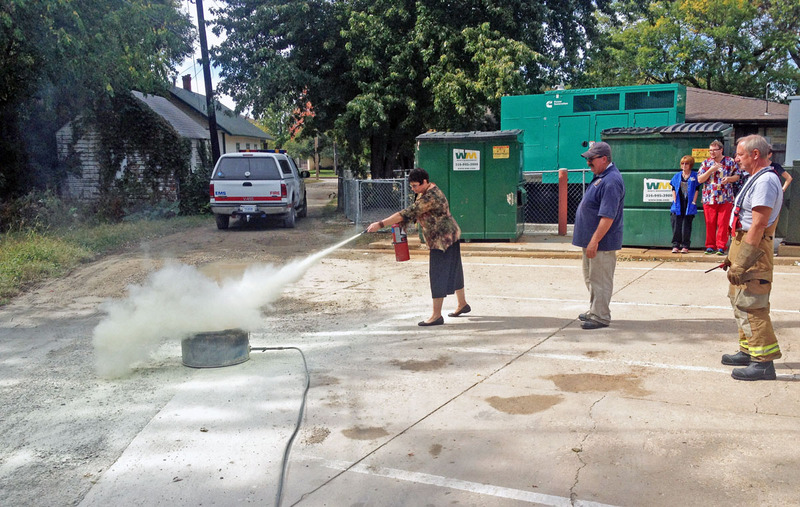 More Fire Prevention activities as Lt. Fred Heersche and FF Gary Kunc help train the Villa Maria staff on how to use Fire Extinguishers. 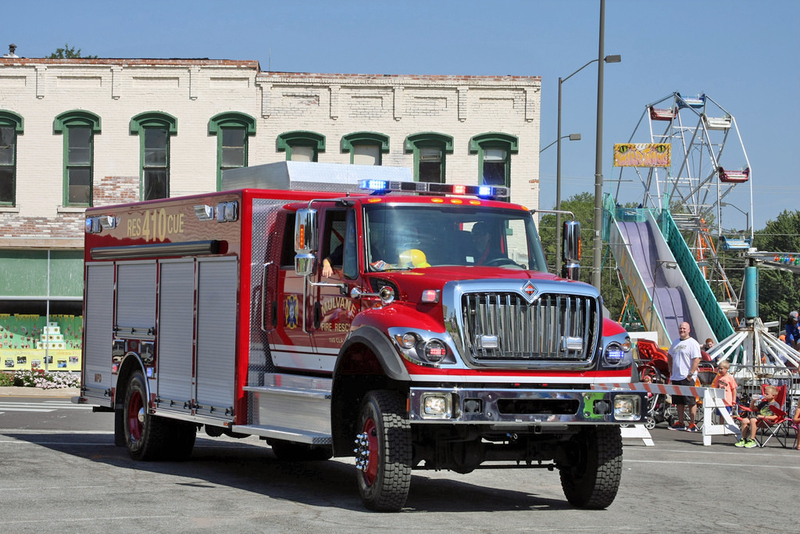 Fire Apparatus Magazine Fire Truck photo of the day! Firefighters Doug Wilson Jr., Firefighter Gary Kunc, Lt. Fred Heersche & Captain Lowell Ester spend the day at Munson Primary teaching Fire Safety! 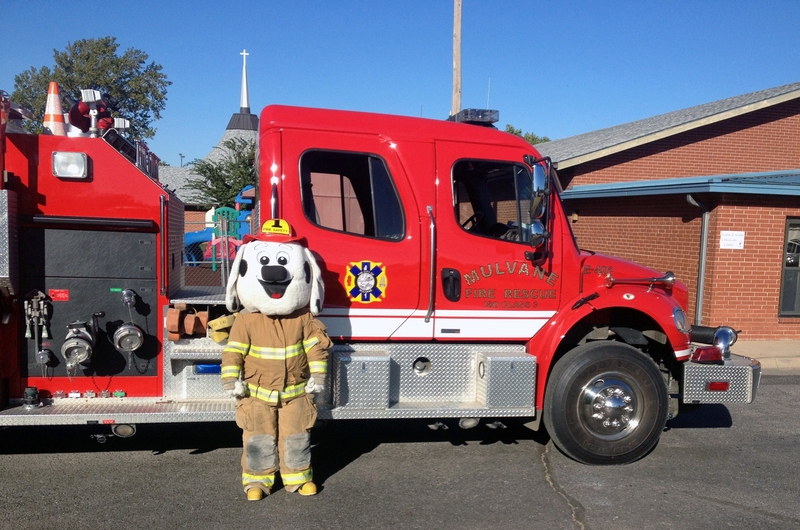 Fire Pups stops to visit local area daycares! 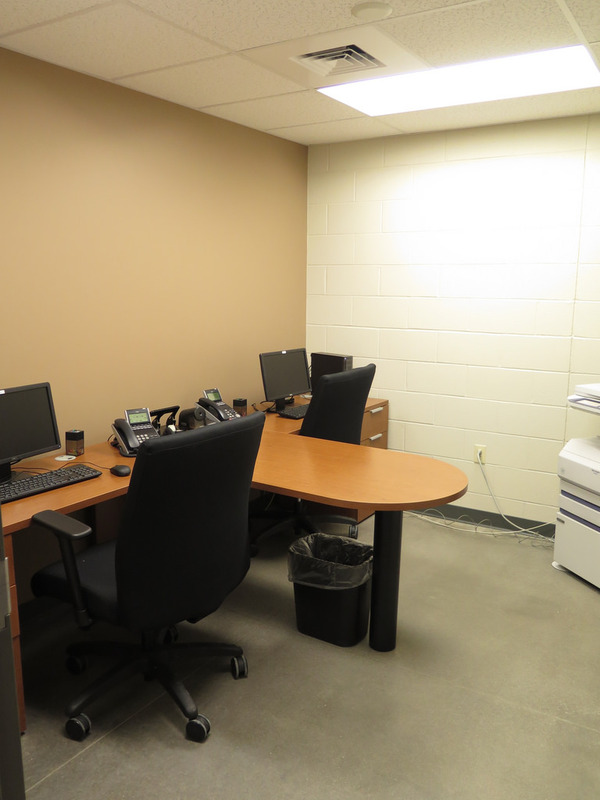 With Jimmy Reed Memorial monies we were able to purchase a new 55" flat screen WiDi TV, Blu-ray DVD player and an 8 speaker sound system for our training room. We also purchased an new training laptop with WiDi capability. This was about $3,000 worth of training equipment upgrades! Thanks to all who donated to our Memorial fund and made this possible. 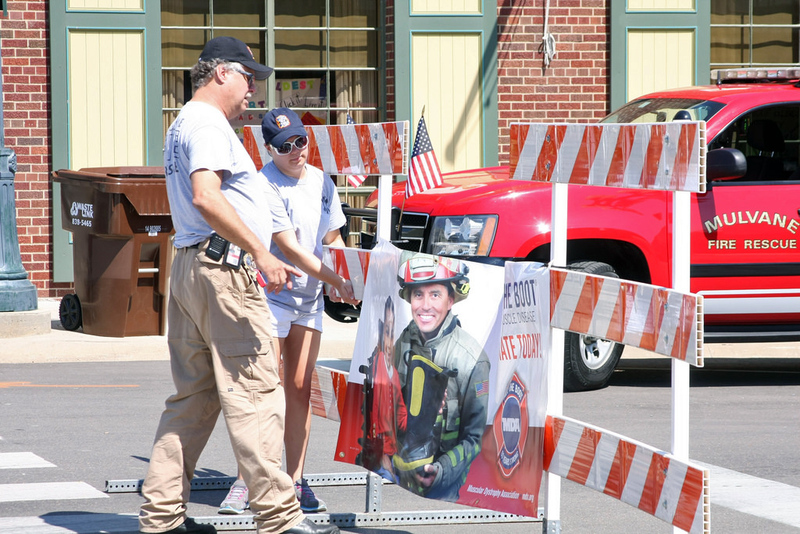 KEMA south-central Kansas region also present Mulvane Emergency Services and Sumner County 911 with a picture poster signed by the local Emergency Managers in honor of Jimmy. Brush 407 delivered and now in service! 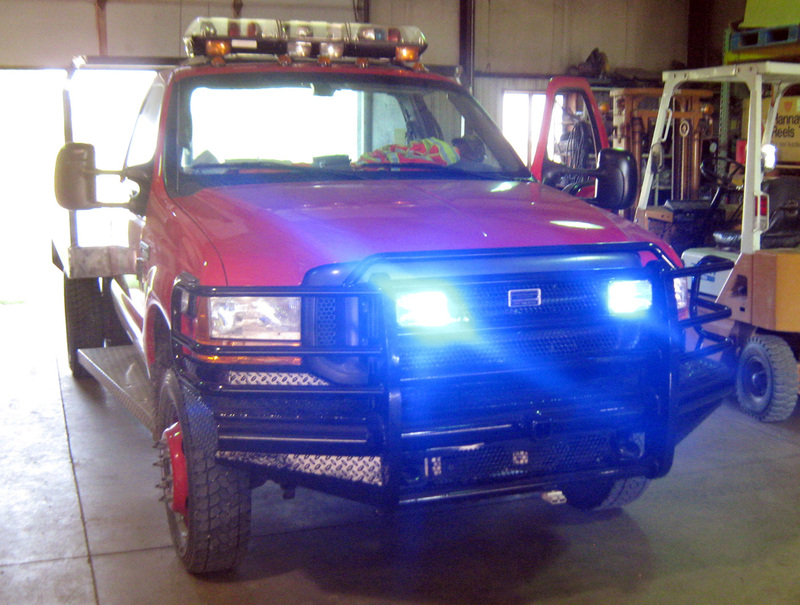 Thanks to Emergency Fire Equipment in Mayfield, Kansas for putting this truck together and the Kansas Forestry Service for assisting us with a VFA grant! 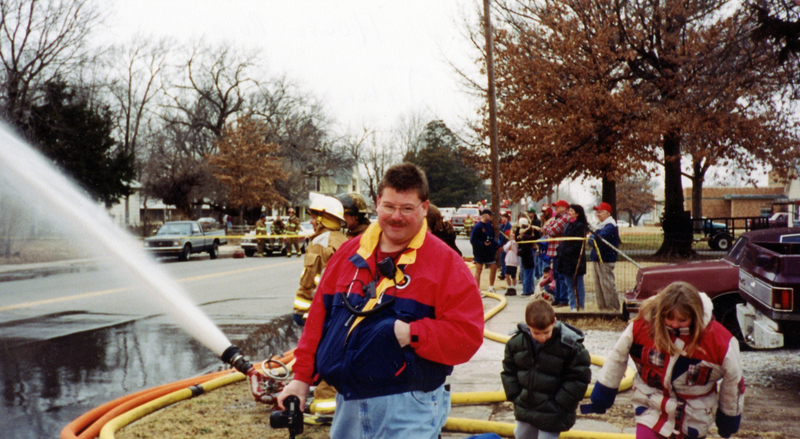 18 year veteran Of Mulvane Civil Defense and Mulvane Fire Rescue. 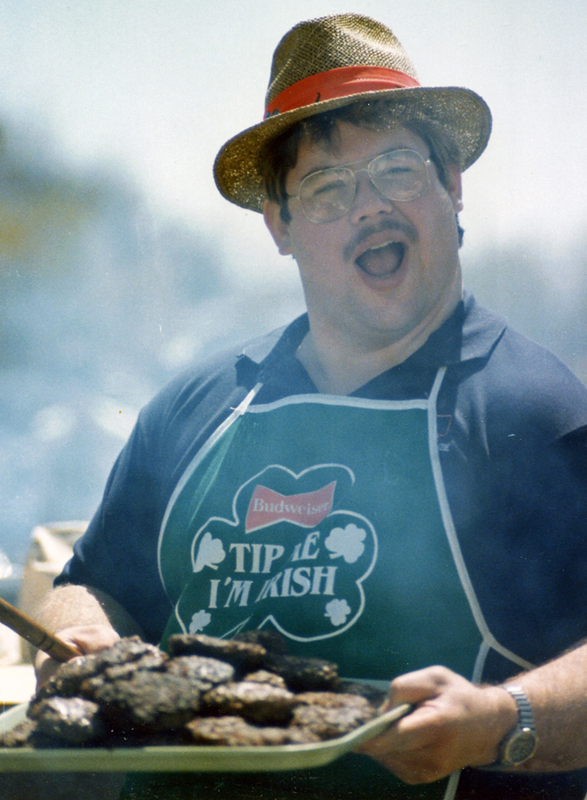 Reed, James “Jimmy” Allen, 57, died Saturday, August 30, 2014. 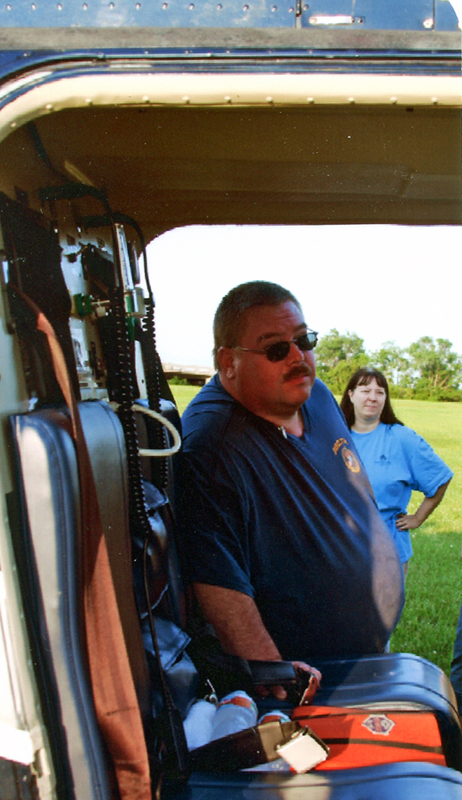 He was the 911 Director of Emergency Services for Sumner County. 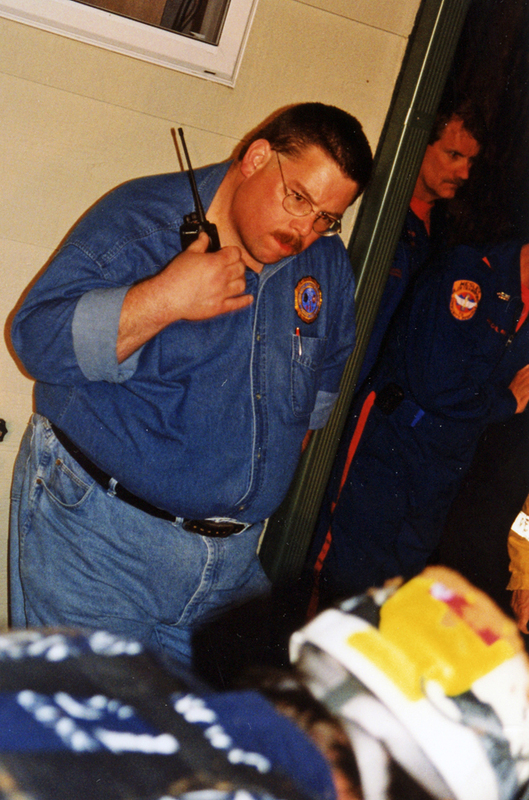 Jimmy held several positions including KEMA representative to the State Interoperability Executive Committee; KS 911 Coordinating Council board member Governor Appointed for the Operations-Subcommittee; past President (board member) for Ks Chapter of APCO; South Central Homeland Security communications sub-committee; South Central Region Vice-President to KEMA board; Sumner County Incident Dispatch Team; and Hutchinson Community College Advisory Board (dispatch program). 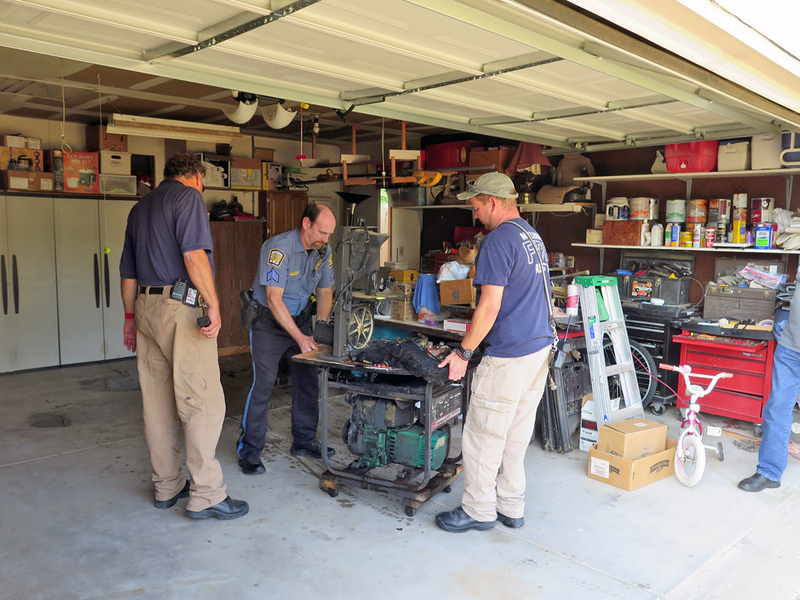 State certifications were held with IMT (Incident Management Team); COML (Communications Leader); COMT (Communication Technician); KCEM-KS Certified Emergency Manager and Mulvane Fire Department Volunteer. Jimmy is preceded in death by his father, James Reed. 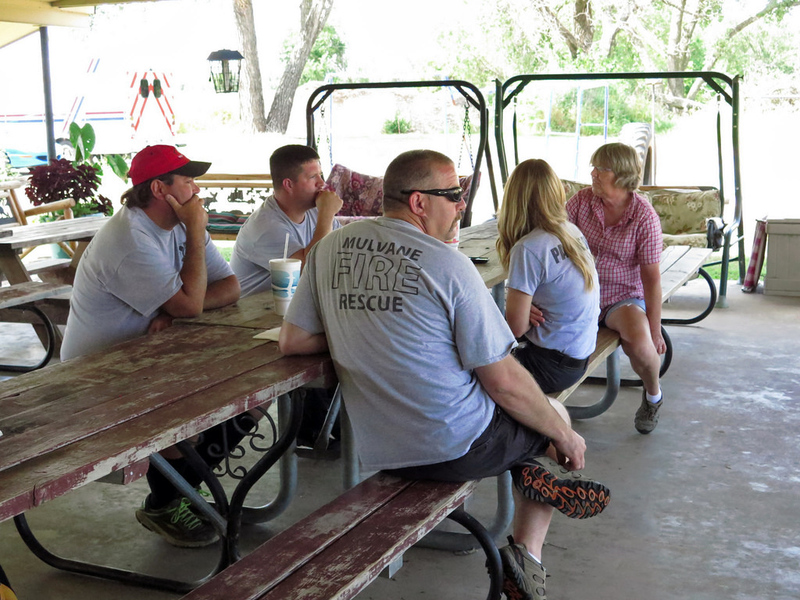 Survivors include his wife of 32 years, Mary; daughter, Megan Reed; son, Jacob Reed; mother, Rowena Reed; sister, Joy Sears; brother, John Reed; and Dixie dog Reed. Viewing: 2-8pm Wednesday, Smith Mortuary, 1415 N. Rock Rd, Derby, KS. The family will greet friends from 5-7 pm at the mortuary. 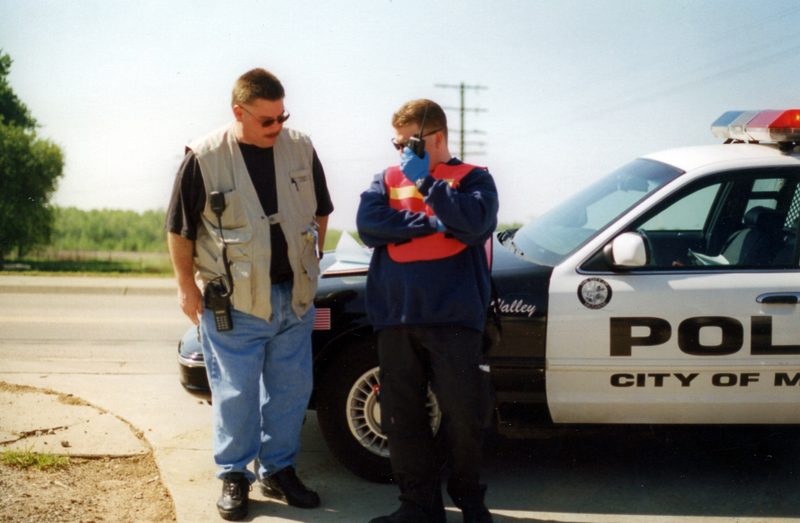 Funeral service: 10am Thursday, September 4, 2014, South Rock Christian Church, 900 S. Rock Rd., Derby. 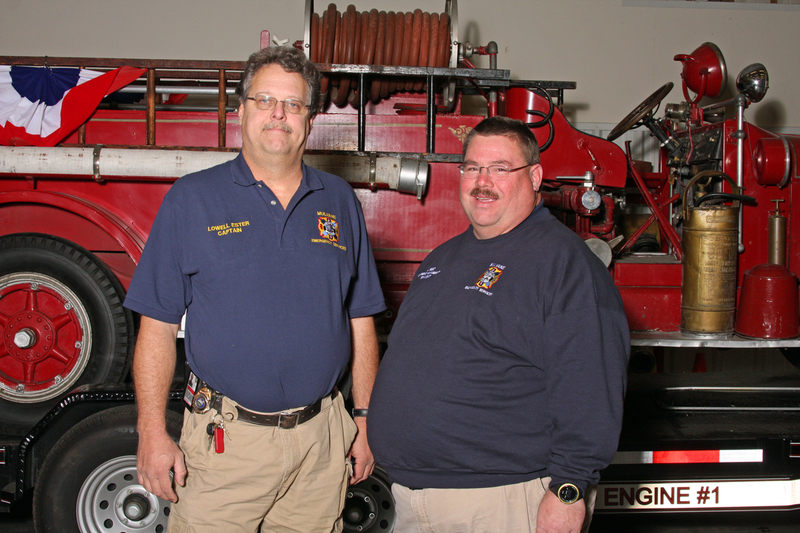 Memorials contributions to Mulvane Firefighter’s Special Fund, 910 E. Main, Mulvane, KS or Mulvane Historical Museum, 300 W. Main, Mulvane, KS. 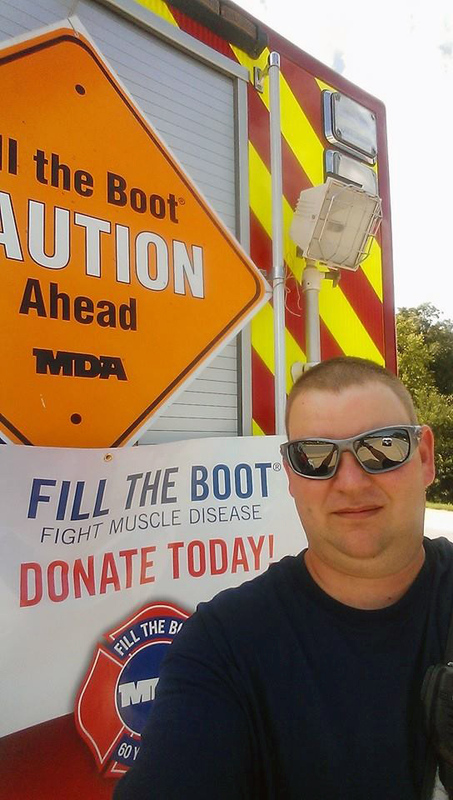 MFR wishes to thank Lt. Jason Mundell for his role as MDA Chairman! 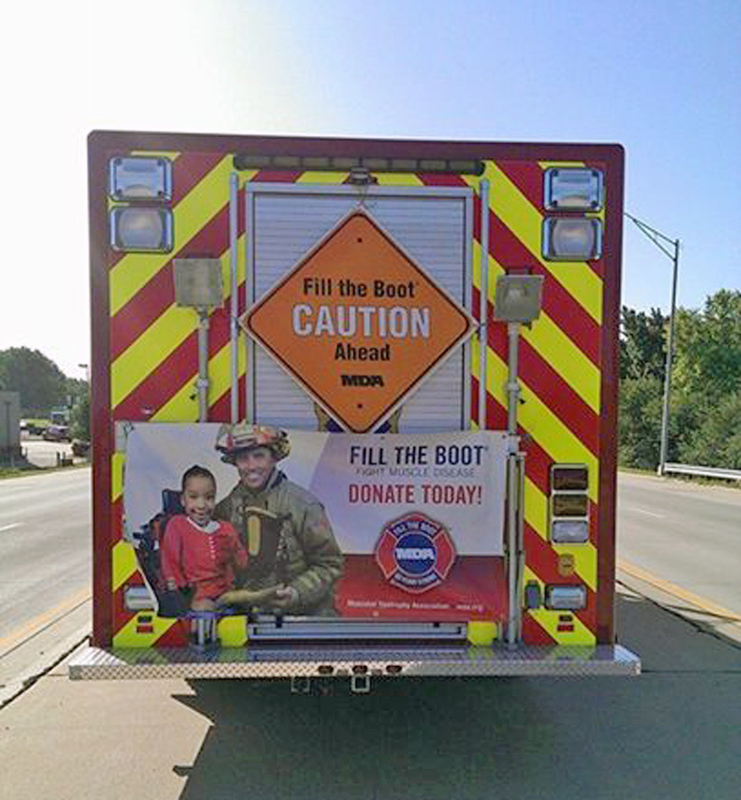 Our course none of this would have been possible without the donations of the Citizens of Mulvane to stopped to help "Fill the Boot for MDA"! 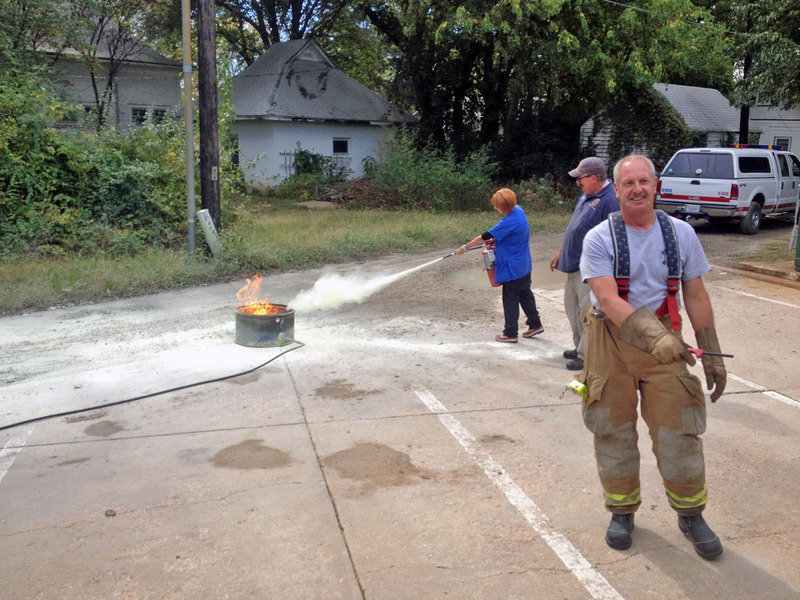 Mulvane Fire Rescue has raised over $5,550 this week for MDA! That was 25% over our goal of $4,200! 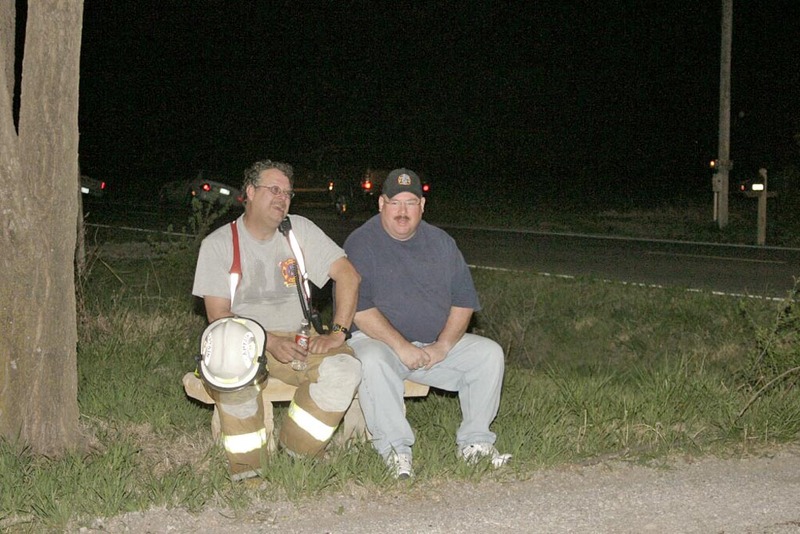 Firefighters Jim McDaniel, Doug Hatfield, Nathan Yarnell, Nick Ryan, Amy Houston, Doug Wilson Jr, Gary Kunc, Larissa Ester, Kyle Andrews & AJ Mattson. 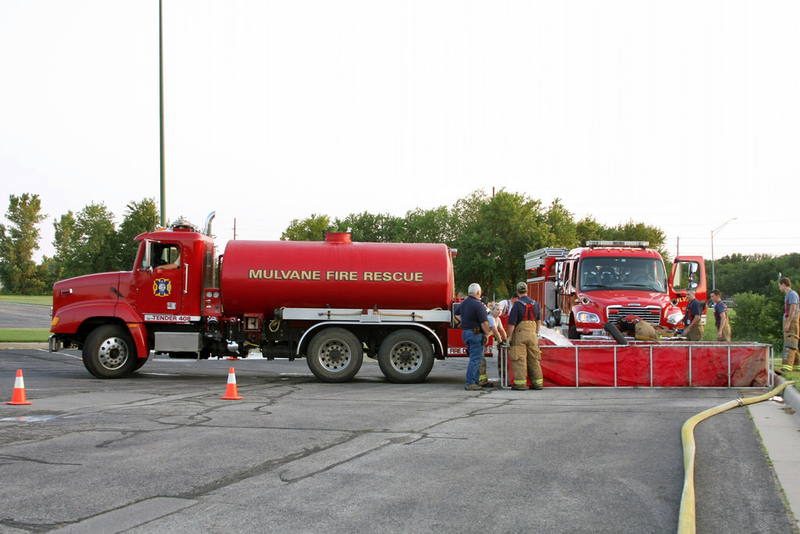 Mulvane Fire Rescue starts MDA drive! 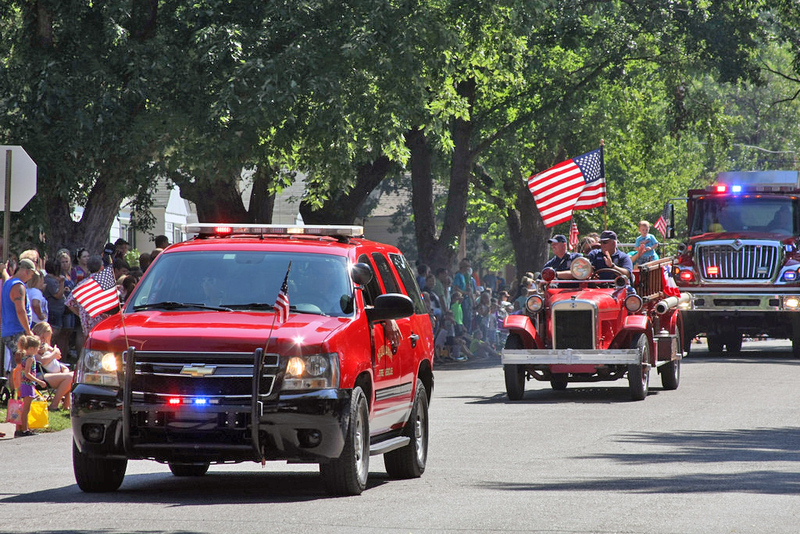 Volunteers raised over $385 in a one hour kickoff after the old Settlers Day Parade! Thanks to all who contributed! 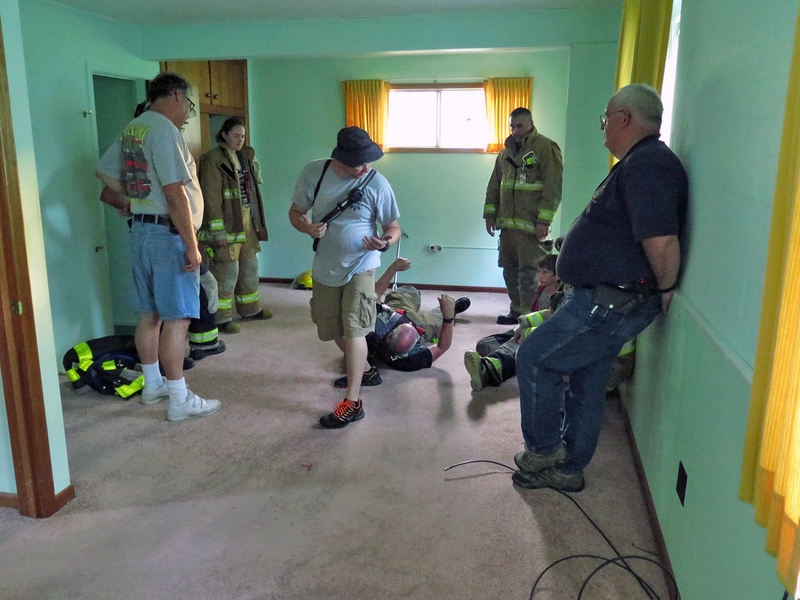 Training in the old Don Denny residence. 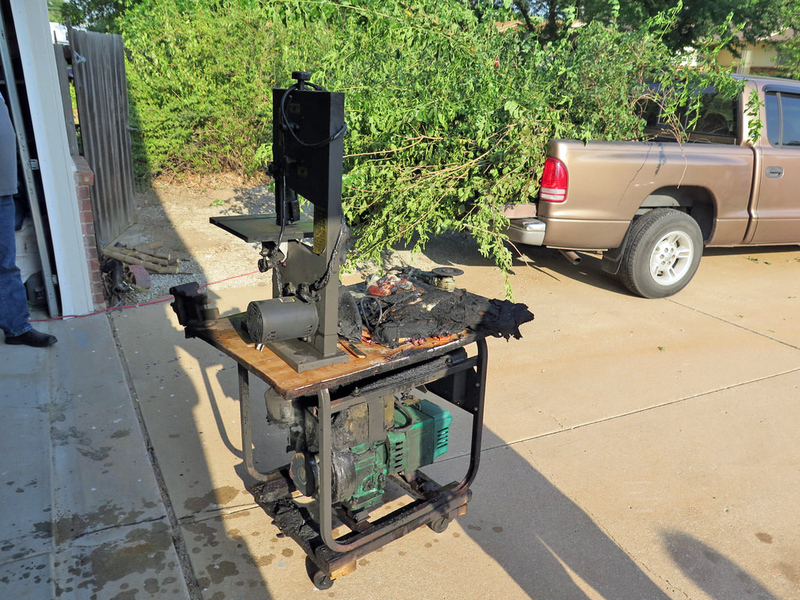 Updated photos of Brush 407 conversion. 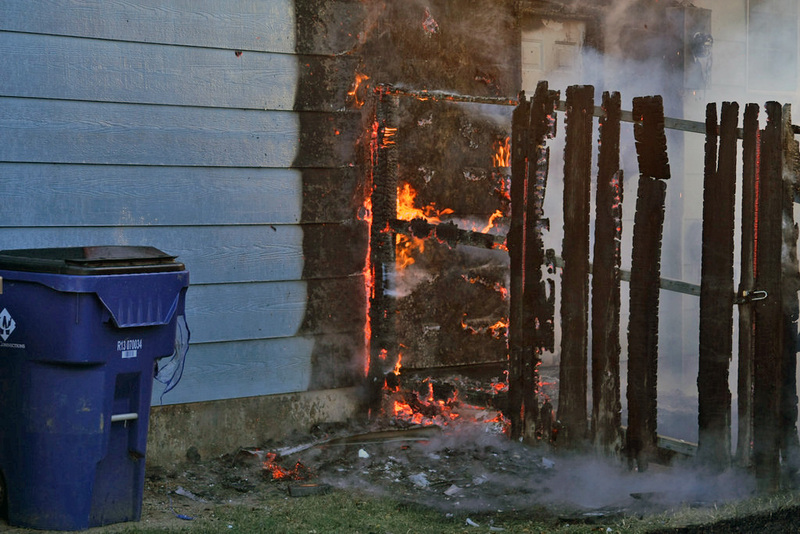 Homeowner welding in his garage started a small fire. 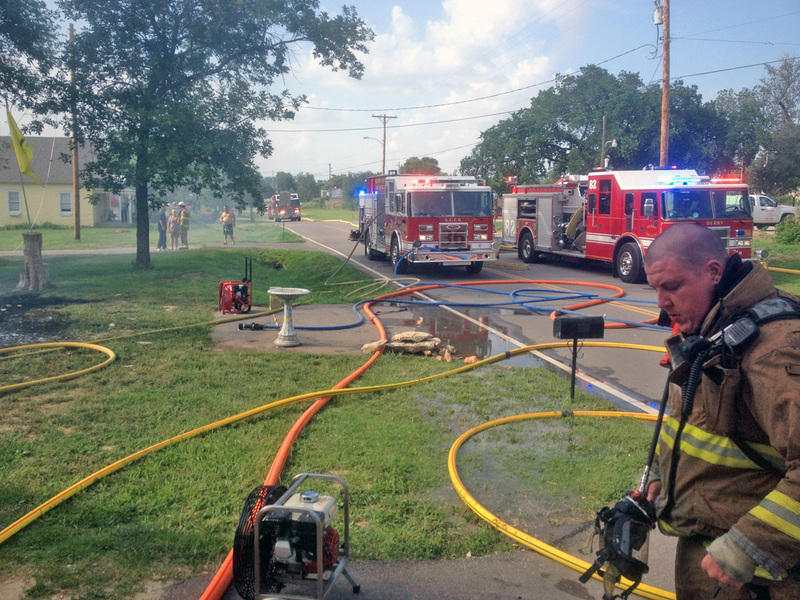 Owner was able to get fire out before FD arrived. 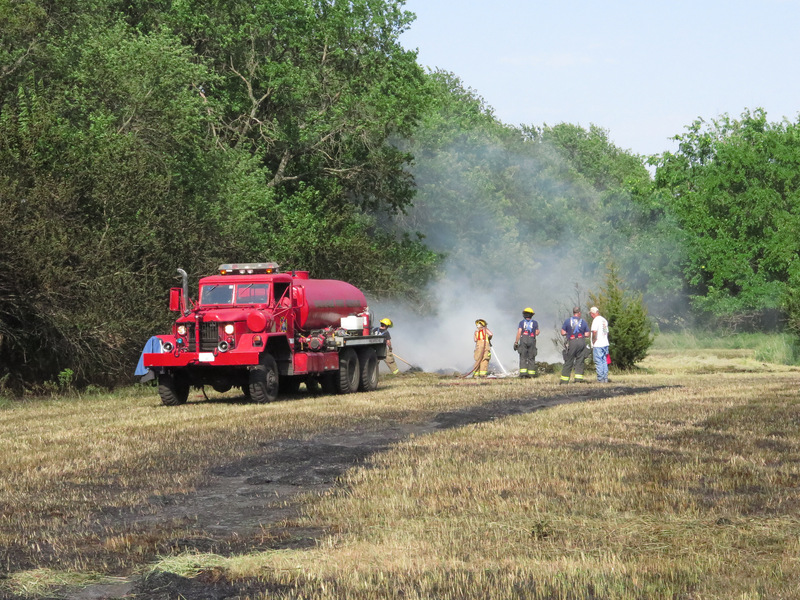 Rural fire operations training with Sedgwick County Tender #36 & Sumner County FD #9. 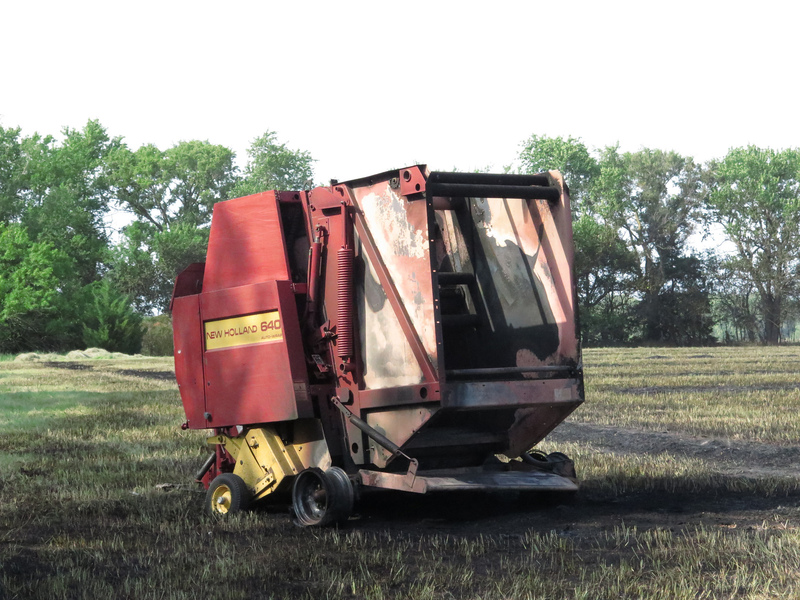 Mulvane Fire assists Sedgwick County FD with a Baler and field fire. 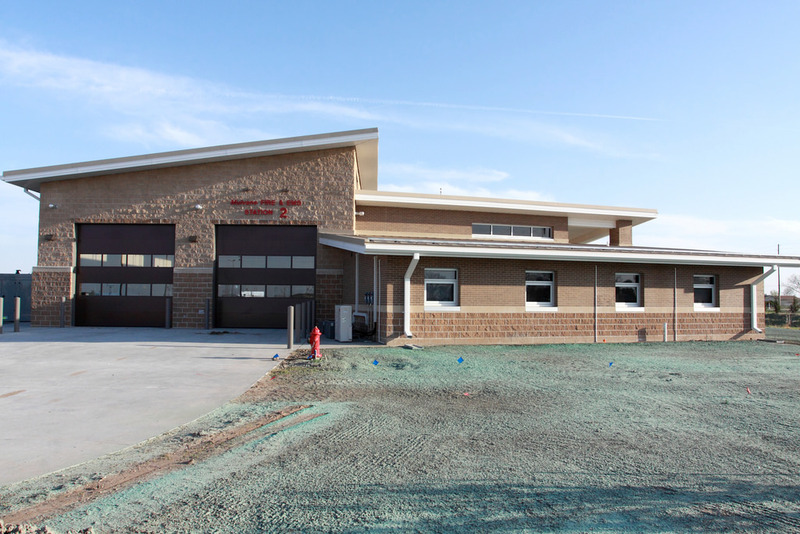 Mulvane Fire & EMS Station #2 featured in Firehouse Magazine! 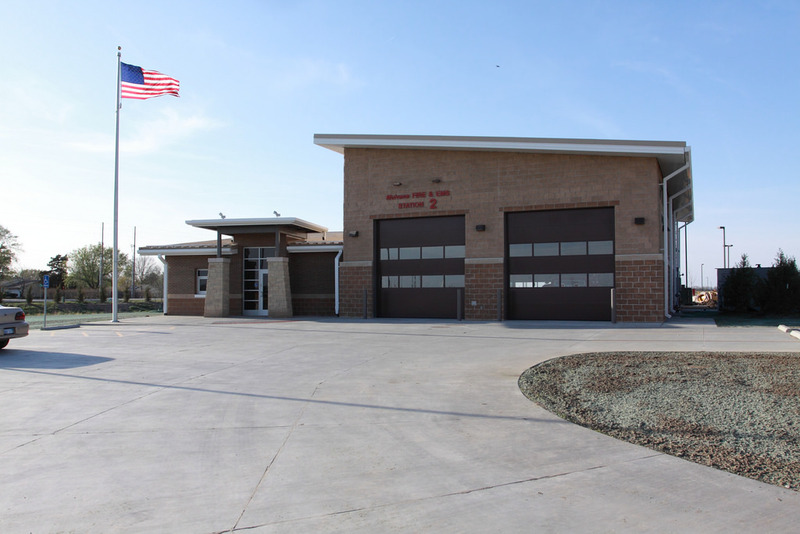 Mulvane Emergency Services opened Station 2, a 7,500-square-foot Fire & EMS substation earlier in 2014. 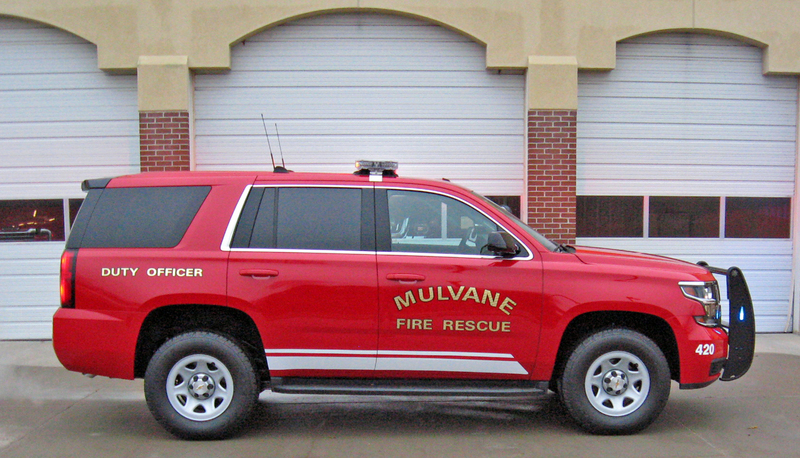 Mulvane Fire Rescue receives Forestry Grant! 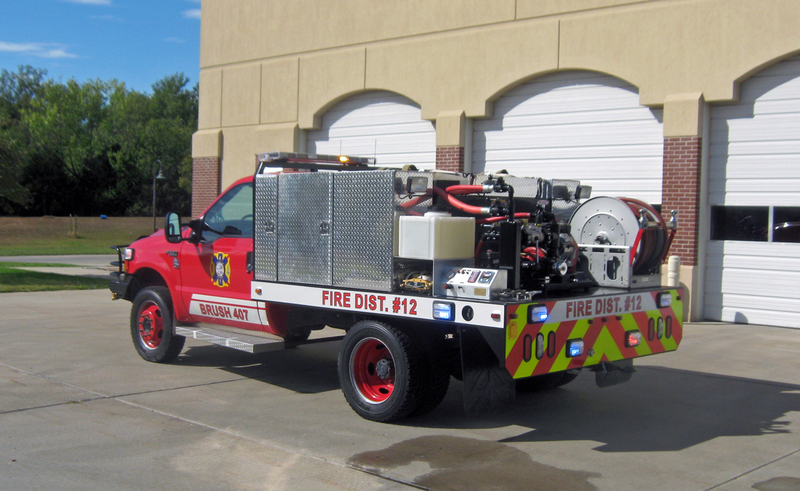 Fire District #12 was awarded a $2,500 grant for the installation of a Class A foam system, 30 gallons of foam and wildland bumper nozzles to be installed on our new Brush 407. 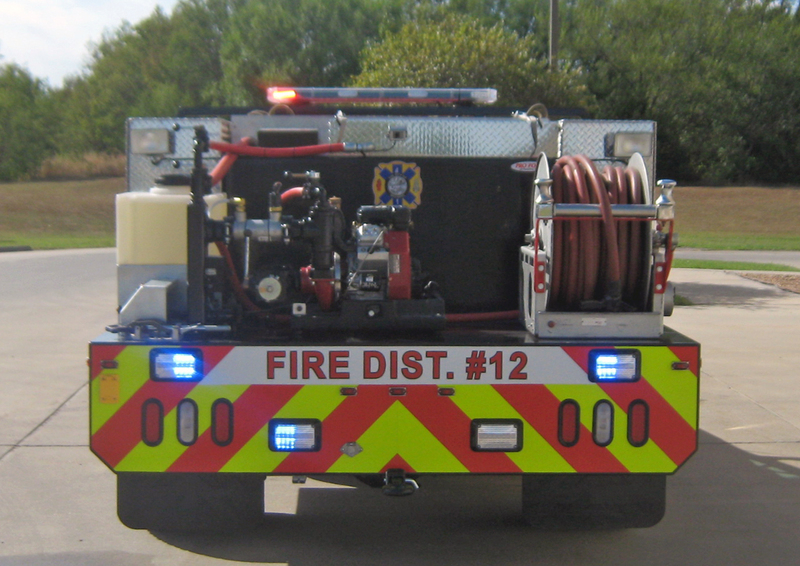 This grant is a 50/50 cost share grant which FD #12 will match the $2,500 from forestry for the installation of this equipment. 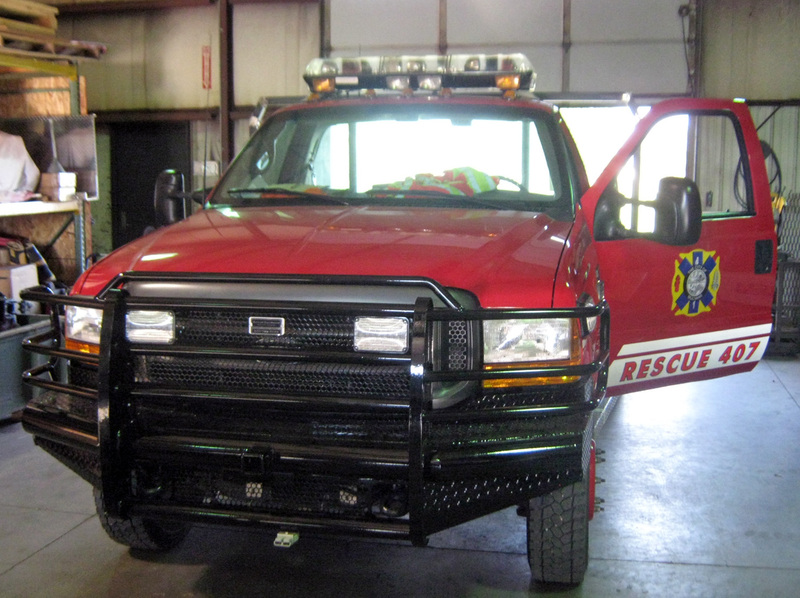 Emergency Fire Equipment in Mayfield Kansas is currently working to convert our old F-550 Rescue 407 into a new Brush Truck. 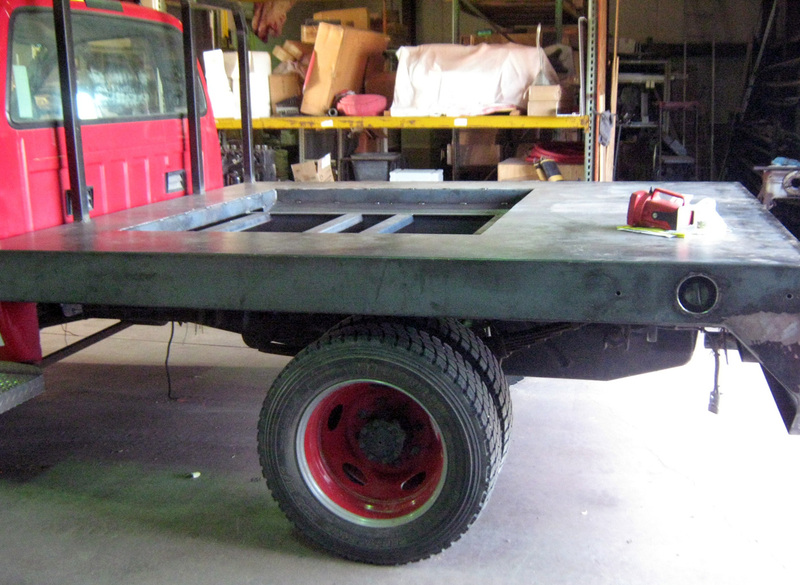 The conversion includes adding a new bed, toolboxes, 400 gallon water tank, front bumper spray nozzles, front TFT turrent, Hale Foamlogic system and all new LED lighting. 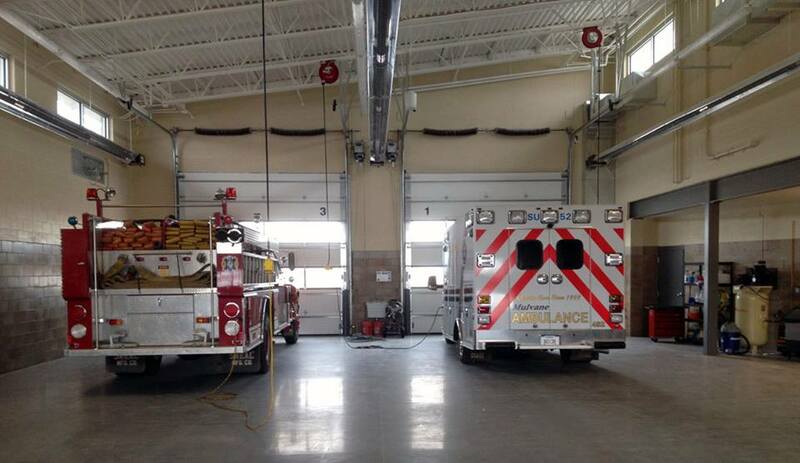 Both Rescue 407 and Pickup 405 have been retired! 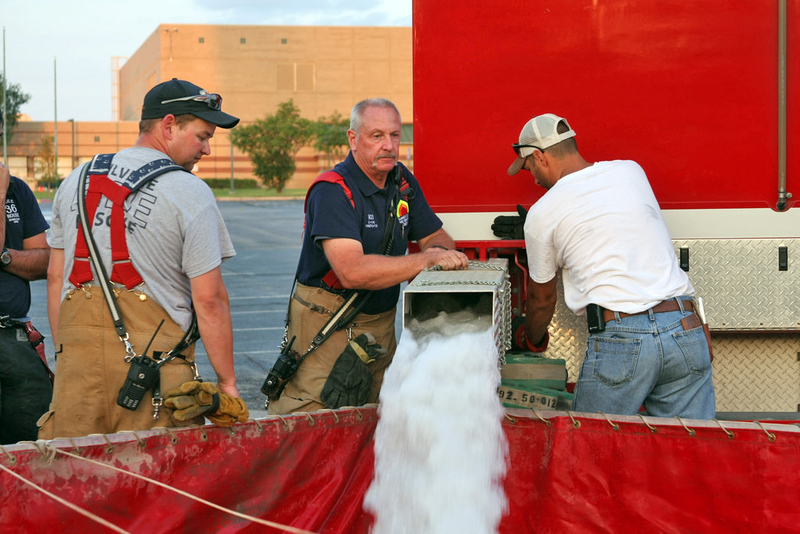 Times for discharging fireworks in Mulvane. 8 am until 10 pm June 29th thru July 2nd. 8 am until Midnight June 27th & 28th, July 3rd & 4th. 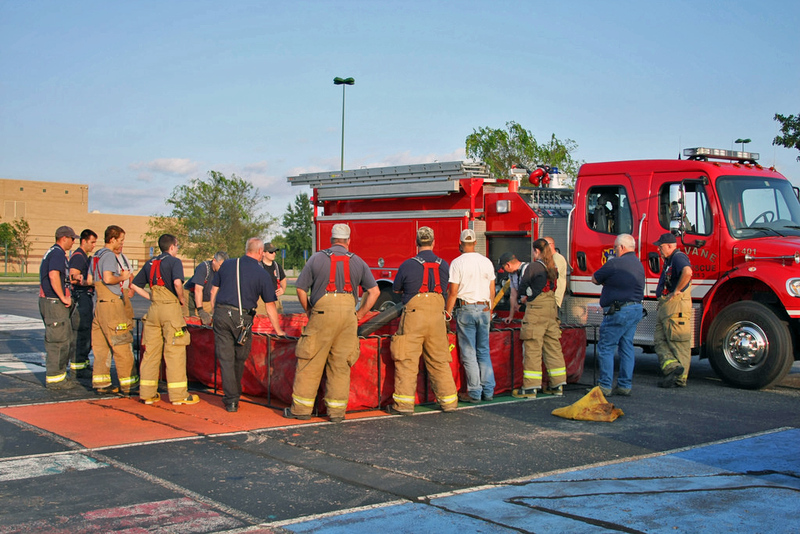 Fireworks may only be discharged on private property. Shooting fireworks off in the streets or parks is illegal. 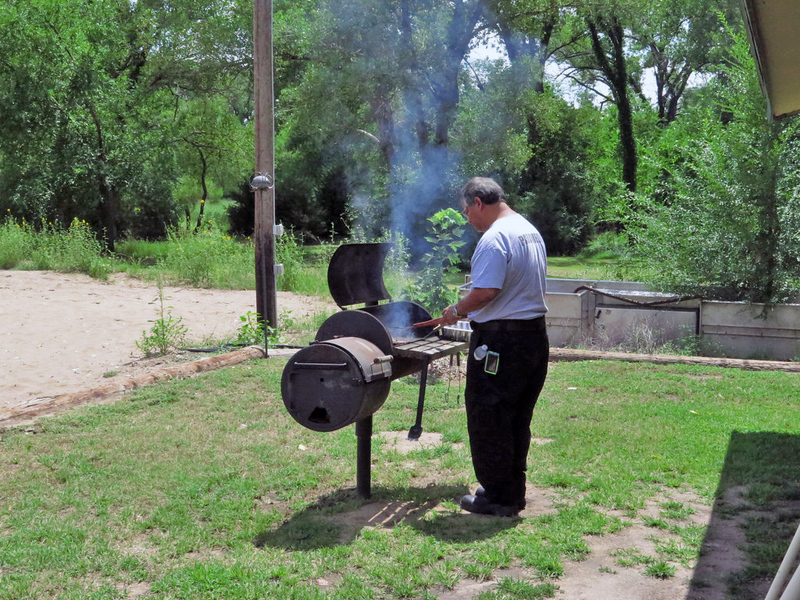 In Sedgwick County you may shoot Fireworks off July 1st thru July 4th from 8 am until midnight. 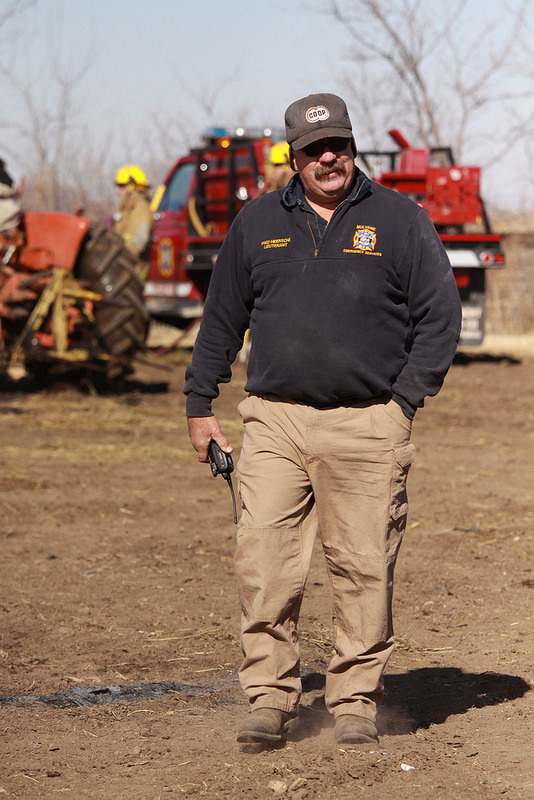 List of sale dates & shooting times for Sedgwick County. 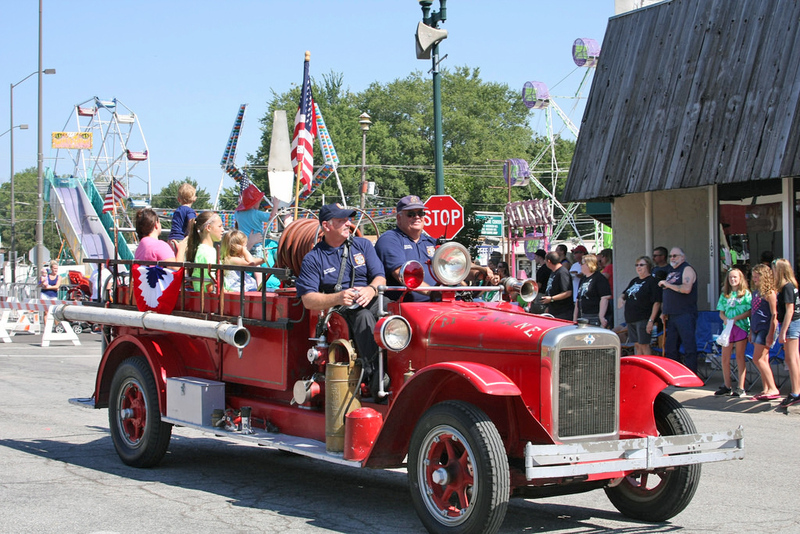 Fireworks may be possessed and discharged in the unincorporated areas of Sumner County from 8:00 a.m. to 12:00 midnight on July 1st through July 4th. Provided, however, the discharge of fireworks shall be on property owned by the person (s) so discharging, or owned by the immediate family thereof. 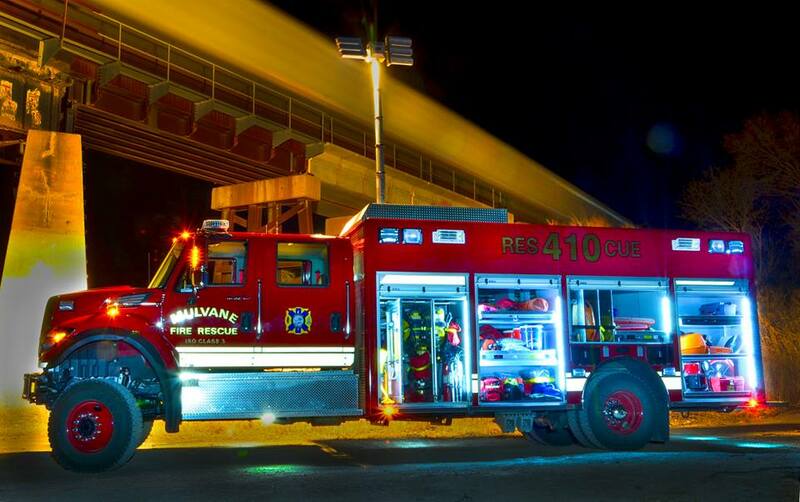 Mulvane Rescue 410 featured in Firehouse Magazine! 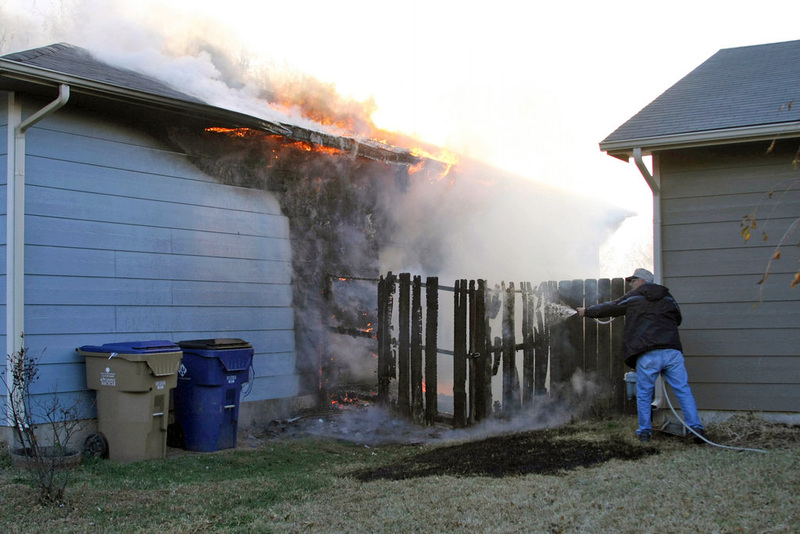 Auto-aid to Derby Fire Rescue on a house fire. 2014 New Member class inducted into the department! 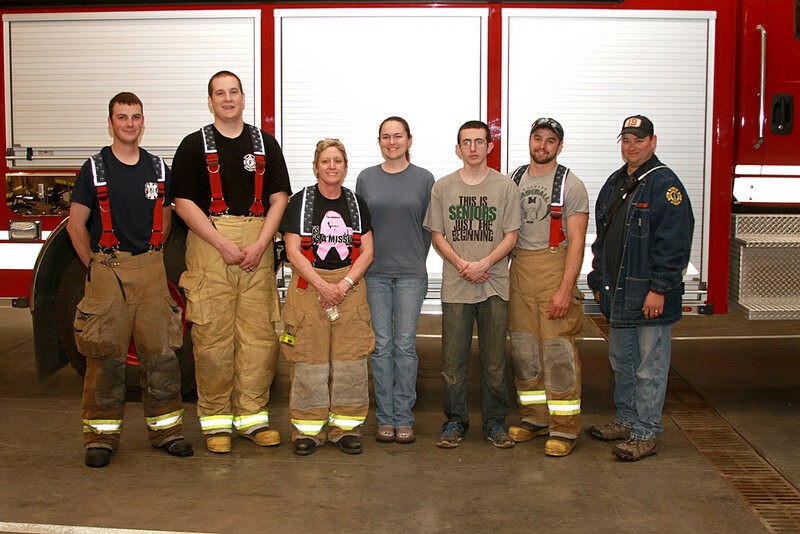 (L-R) FF Jaman Rogers, FF Kathy Rogers, FF Doug Wilson Jr., FF/EMT Megan DeVries, Lt. Jason Mundell T/O, FF/EMT Skyeler Reynolds, & Lt. Kyle Gasaway. 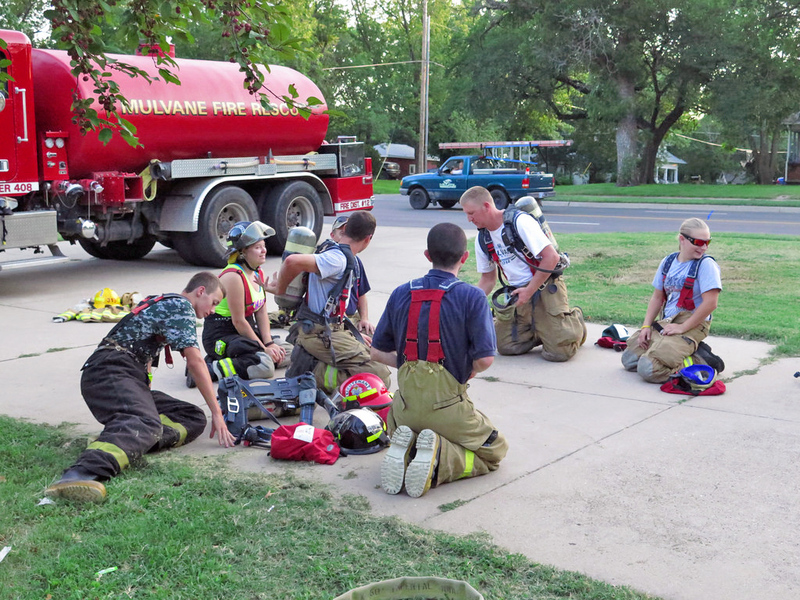 Mulvane Fire Rescue will be hosting Haz-mat Awareness, Haz-mat Ops & Firefighter 1 classes starting July 16th. 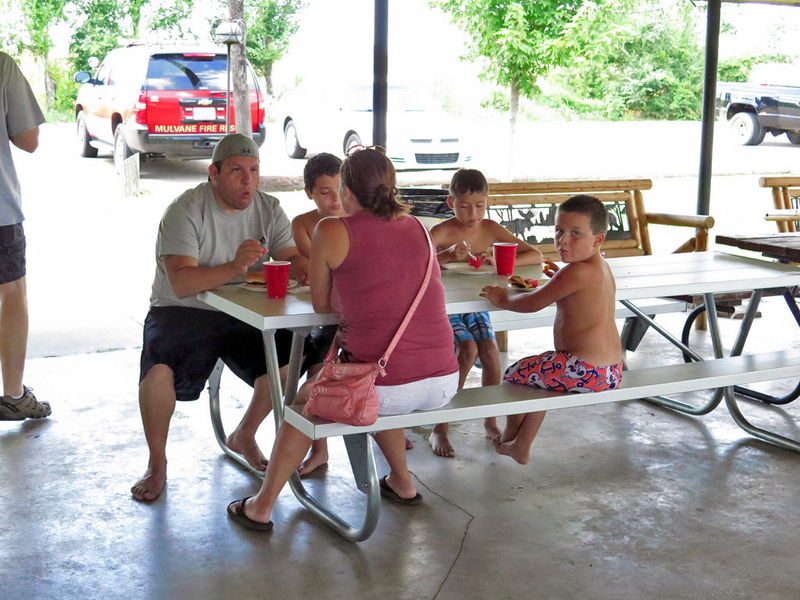 This class will meet Wednesday nights and maybe a few Saturdays. FF-1 Class should be over sometime in December. Sign up thru KUFST website. 2014 New Member probie class! 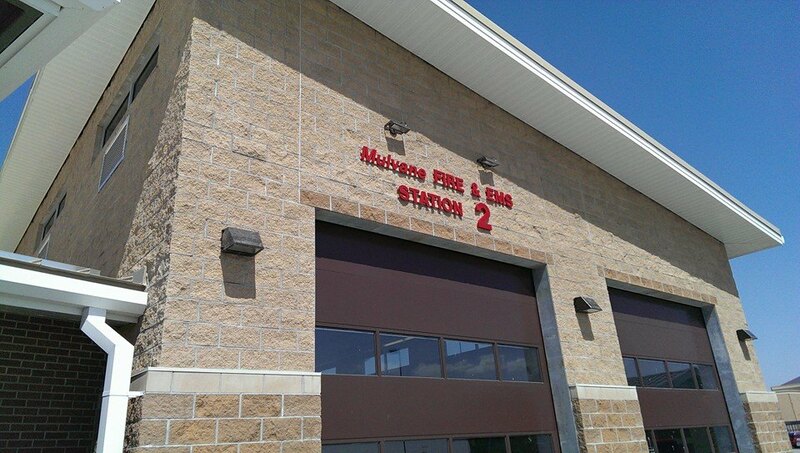 Some pictures of new Station #2. 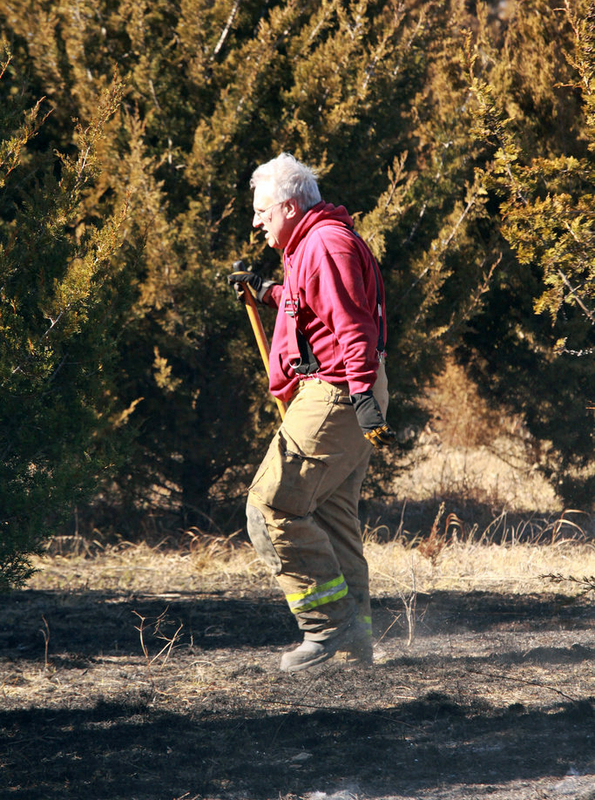 State Burn Ban in effect for the City of Mulvane, Butler County, Sedgwick County and Cowley County. 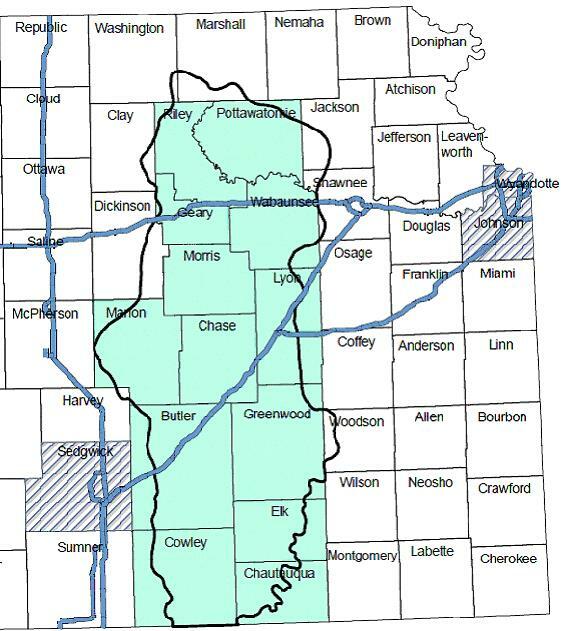 Kansas Administrative Regulation (K.A.R.) 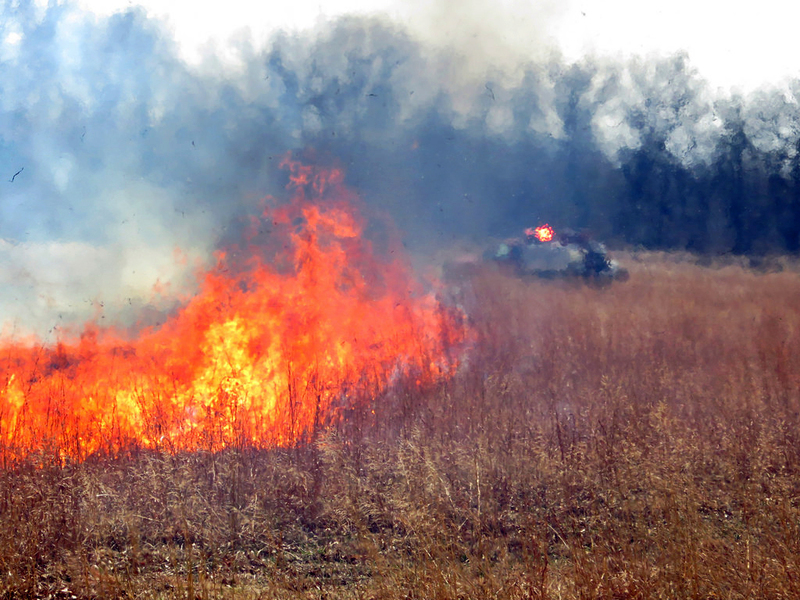 28-19-645a, Open Burning Restrictions for Certain Counties During the Month of April, is a new regulation in support of the State of Kansas Flint Hills Smoke Management Plan (SMP) that was formally adopted by the Kansas Department of Health and Environment (KDHE) on December 29, 2010. 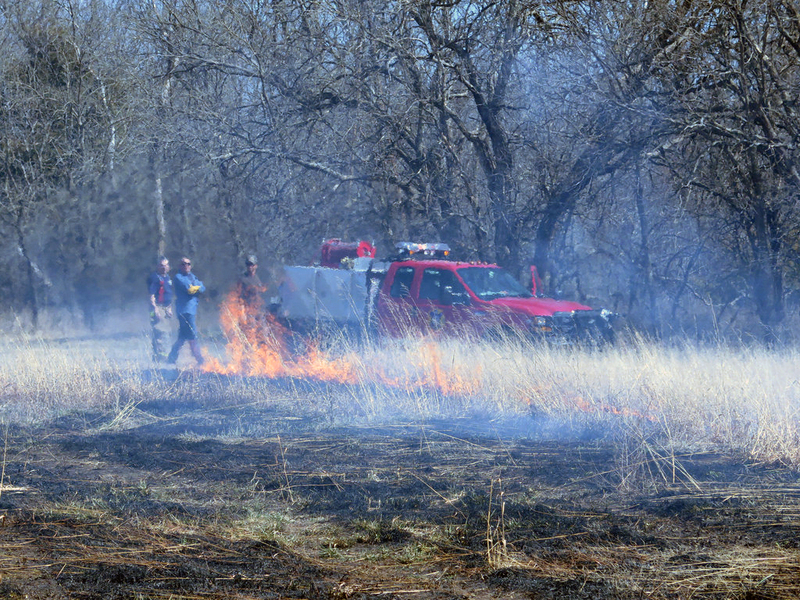 Burning that will continue to be allowed in these counties during April include agricultural burning related to the management of prairie or grasslands (range or pasture management) and conservation reserve program (CRP) burning activities. 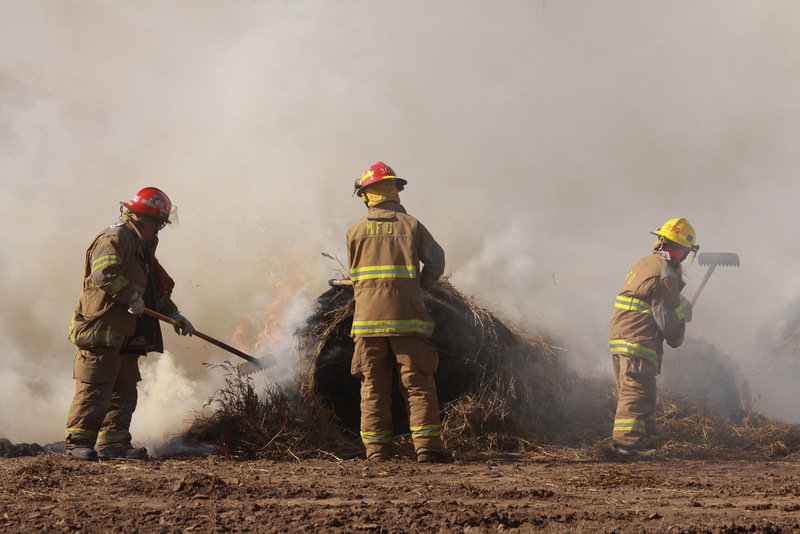 Restricted activities include burning of materials such as land clearing debris, crop residues, construction debris, fire fighter training burns, and yard waste. Existing exemptions in K.A.R. 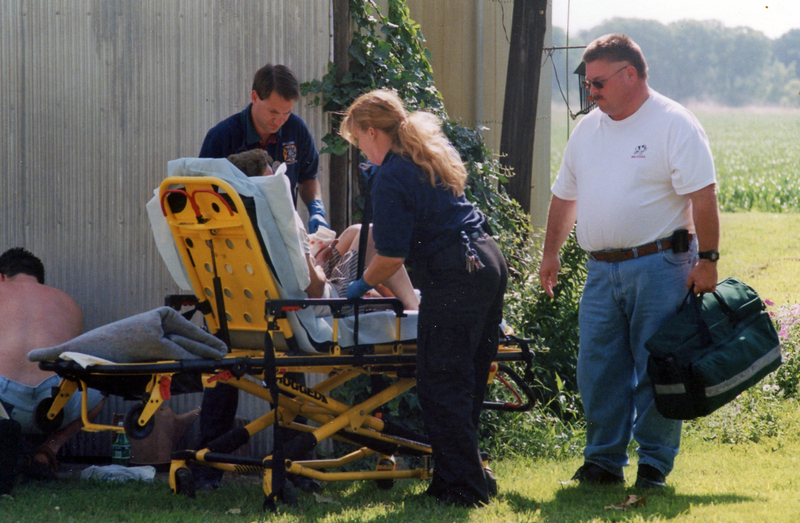 28-19-647(a)(1) and (a)(2) have been retained in the proposed new regulation as K.A.R. 28-19-645a(b)(2) and allow for the following: (1) open burning on a residential premise containing five or less dwelling units and incidental to the normal habitation of the dwelling units; and (2) open burning for cooking or ceremonial purposes on public or private lands regularly used for recreational purposes. 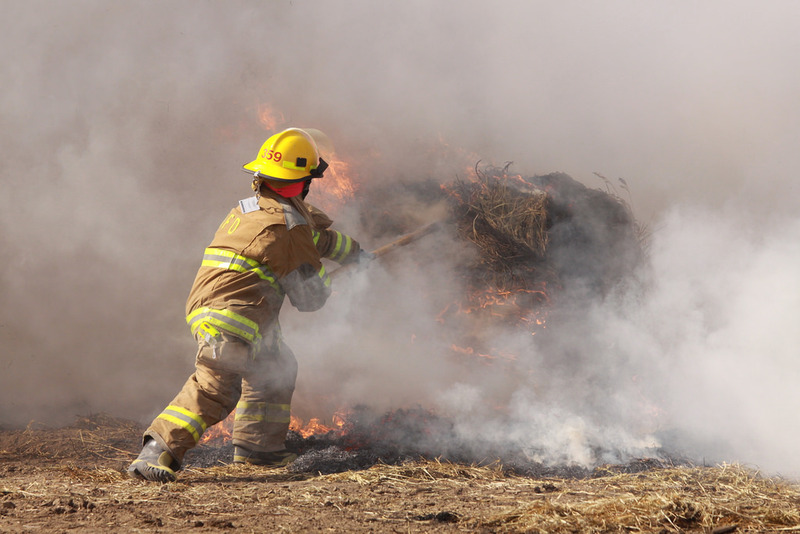 Other exemptions may be considered on a case-by-case basis for certain activities, of which the burning of storm debris would be a good example of a possible qualifying exemption. 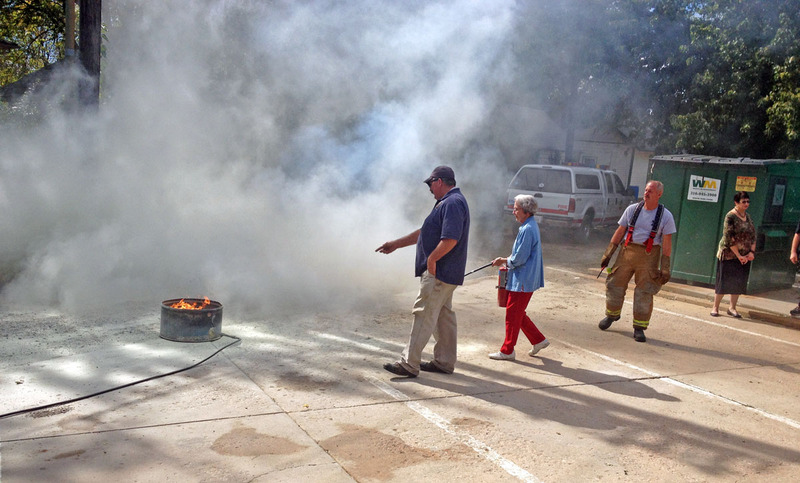 Burn activities not explicitly exempted in the new regulation will be subject to review and approval by the KDHE. 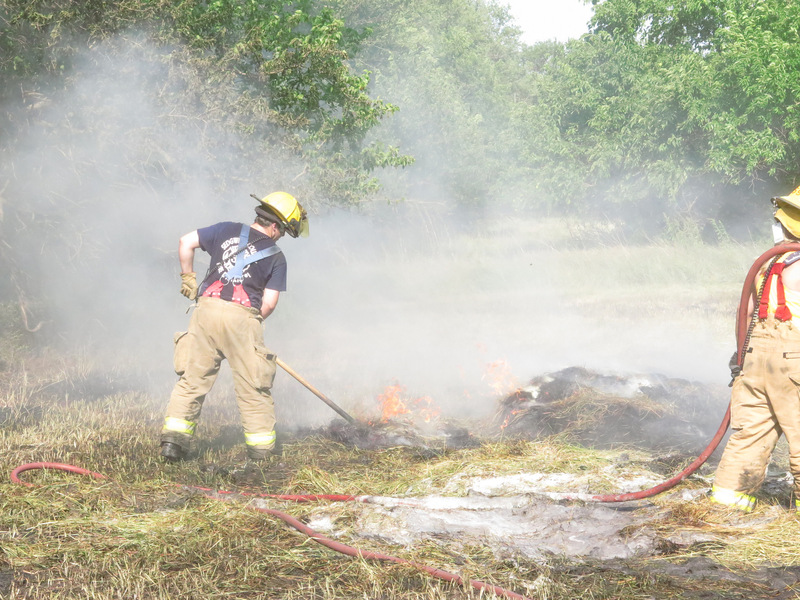 Any proposed burn activity must be proven to be necessary, to be in the public interest, and not to be prohibited by any local government or local fire authority. 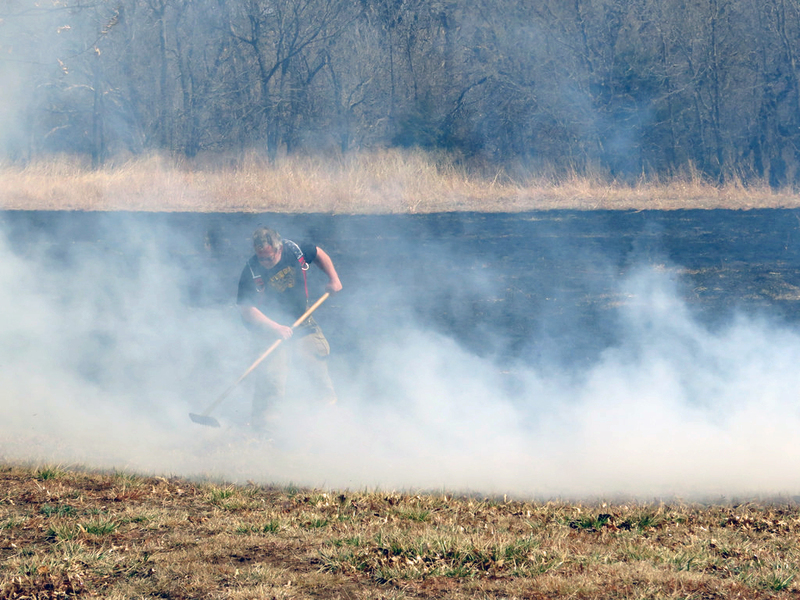 April burn activities involving nonagricultural land clearing debris and construction debris in Johnson, Wyandotte, and Sedgwick counties will be subject to review and approval by the respective local authorities. 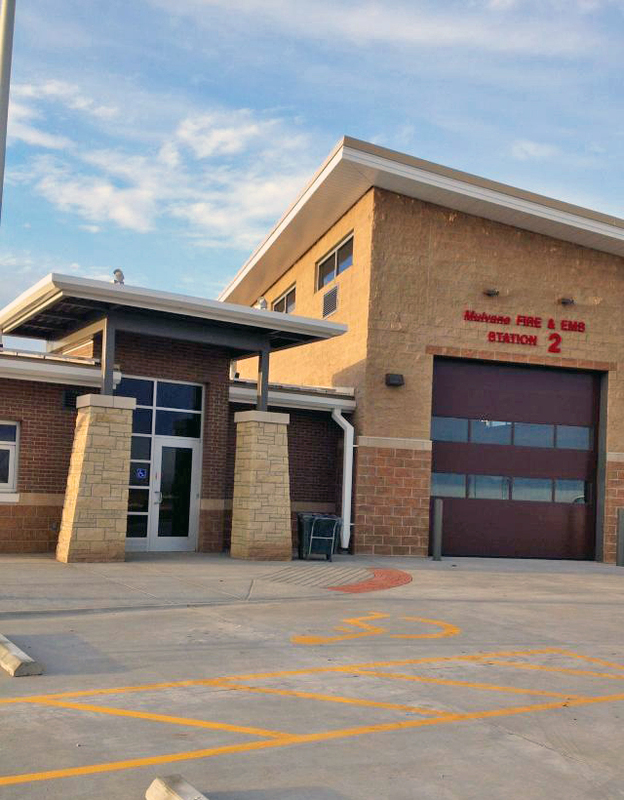 Mulvane Fire & EMS Sub-station #2 is open for business. 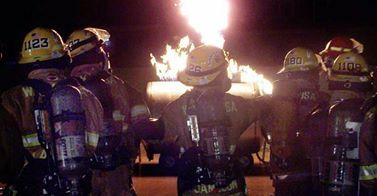 Shown here staffed with E-403 and A-452. 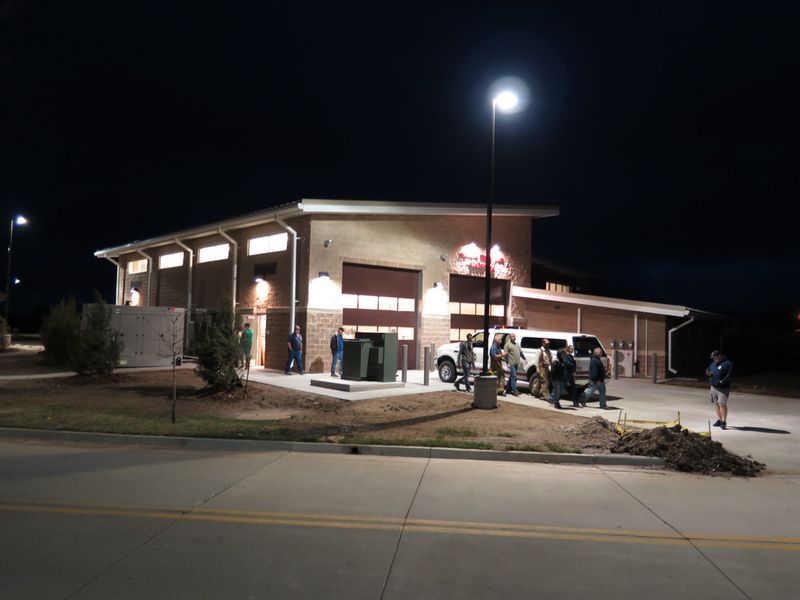 First run out of the new station was less than 24 hours later, an EMS call early Thursday morning. 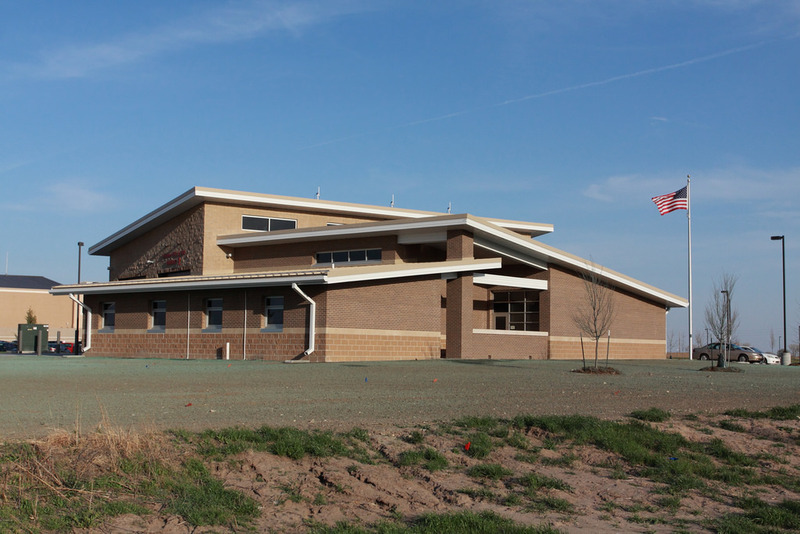 Mulvane Community Blood Drive on Saturday, March 29th at St. Michael's Catholic Church from 9am -1pm. We need more donors to sign up and donate and help us reach our goal of collecting 25 pints of blood. Donors can call 1-800-Red Cross to sign up. Find and schedule a local blood drive here! 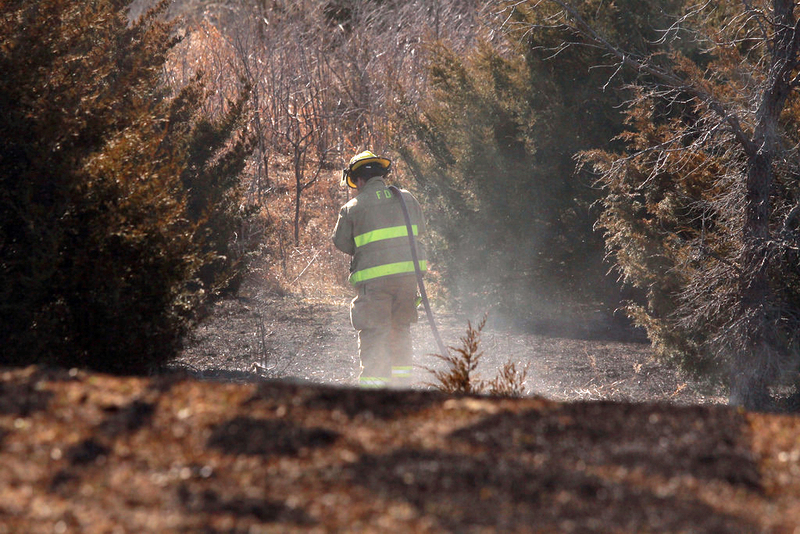 Grass fires continue due to dry conditions and high winds. 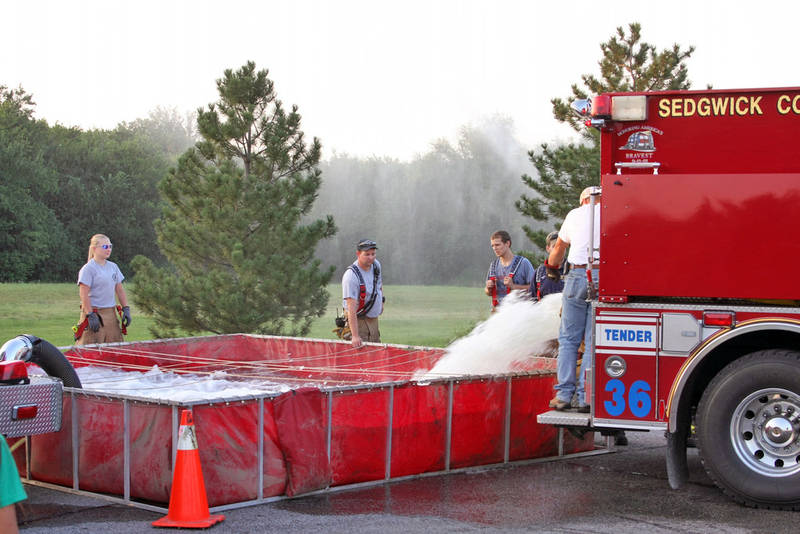 Grain Engulfment training from Kansas University Fire Service Training. 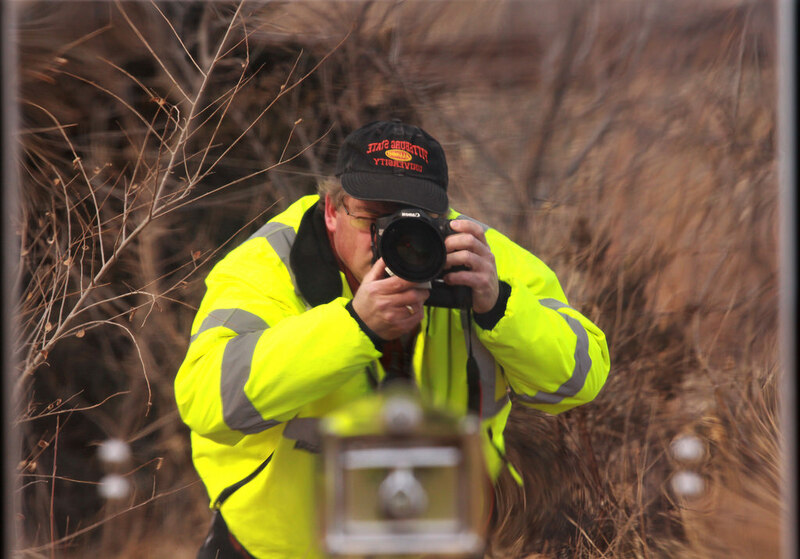 Garry Brownlee, our department photographer! 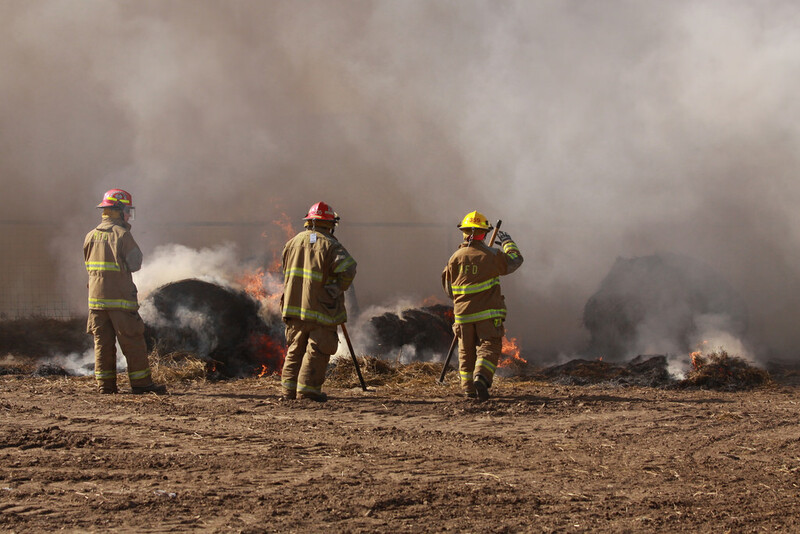 Round haybale fire on Superbowl Sunday. Fire appears to have been started by a passing train in the same location of the January ROW fires. 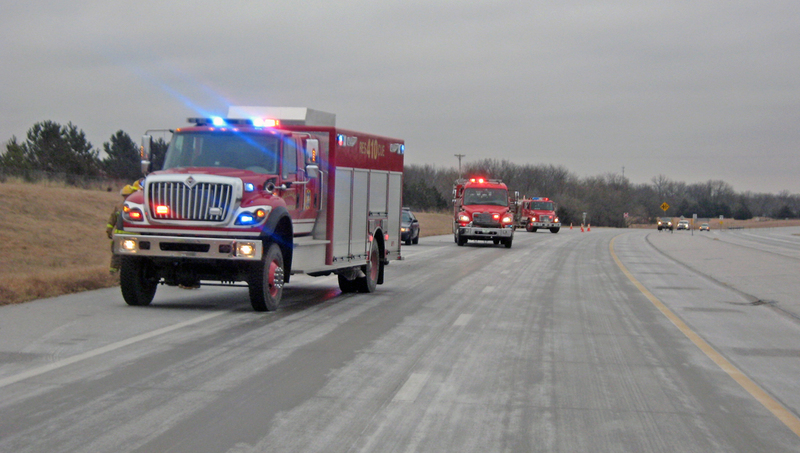 Ice storms hits hard on highways causing multiple rollover accidents. 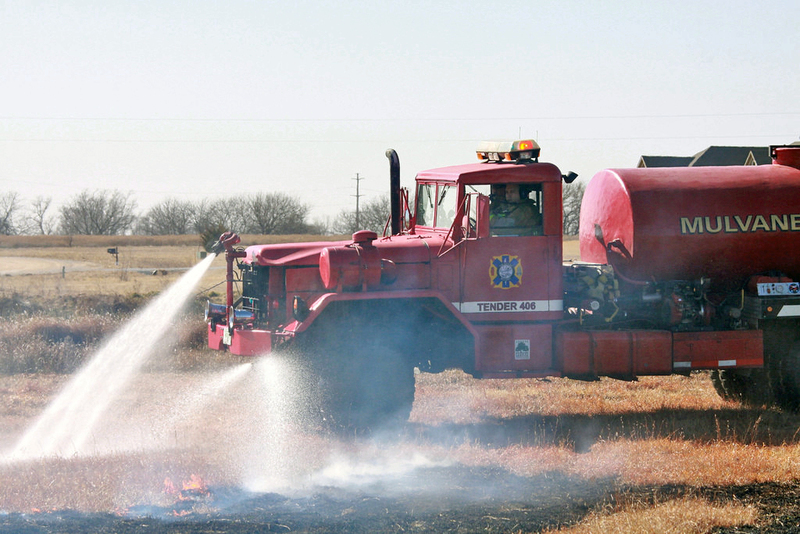 Dry conditions & windy conditions are causing Red Flag warnings. 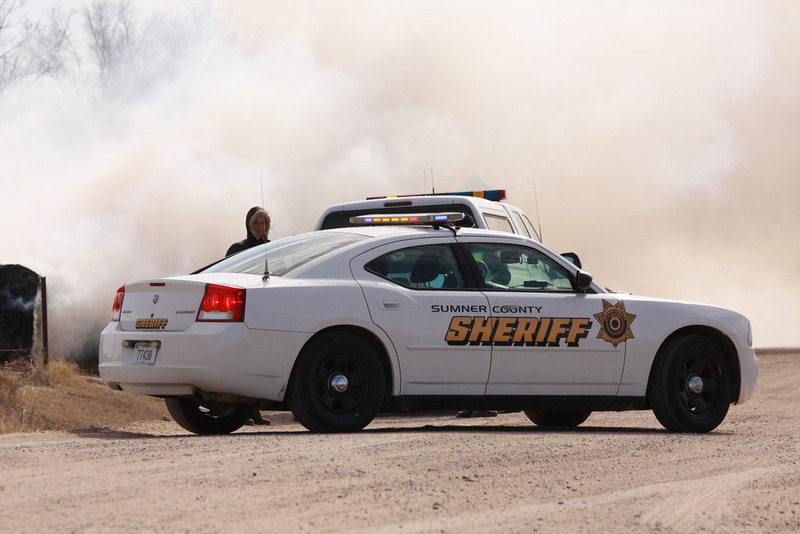 Train started 7 different Right of Way fires between Mulvane and Udall. 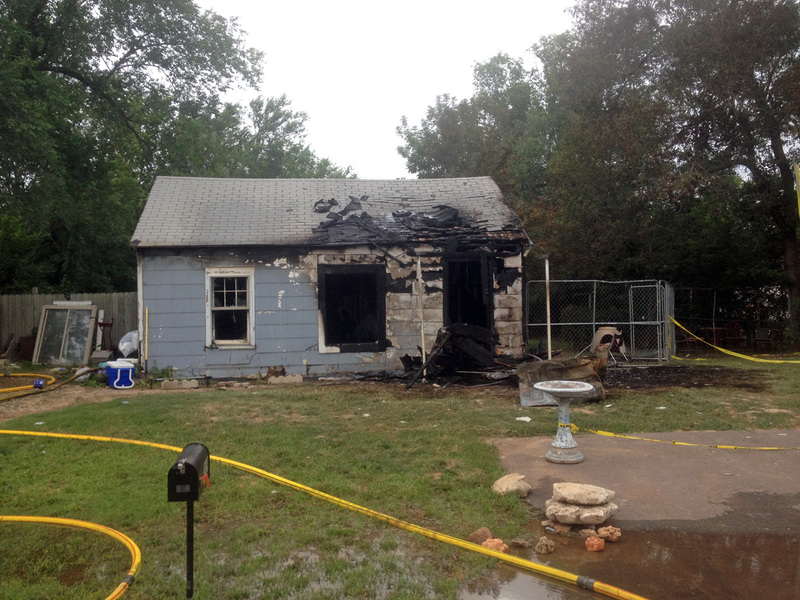 Fire units from Mulvane, Cowley County FD #4 (Udall), Sumner County FD #9 (Belle Plaine) & Winfield assisted on the alarm. 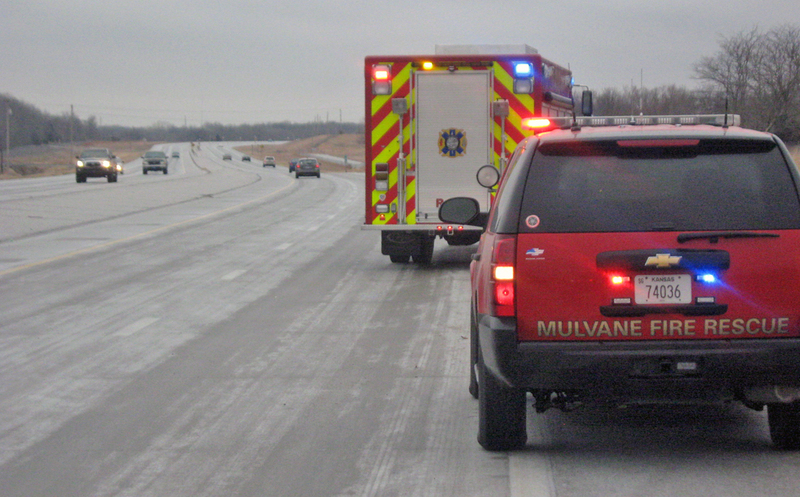 Link to a web page giving a shout out to Mulvane EMS! 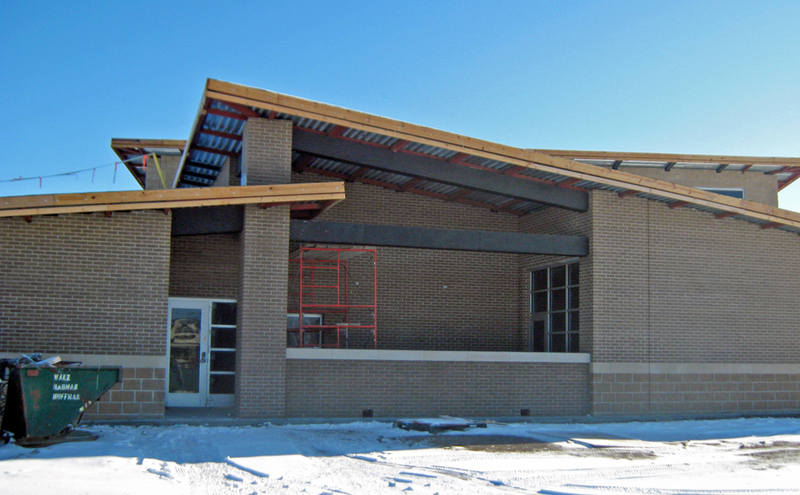 Mulvane Fire & EMS - West substation #2 coming along nicely. Should be open next month! 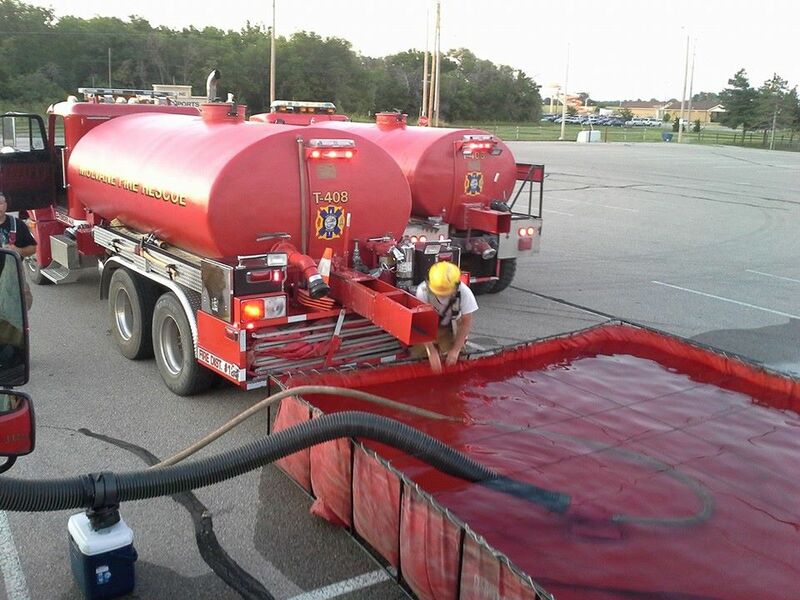 Fire Department New Member class starting this month, 4 new rookies! 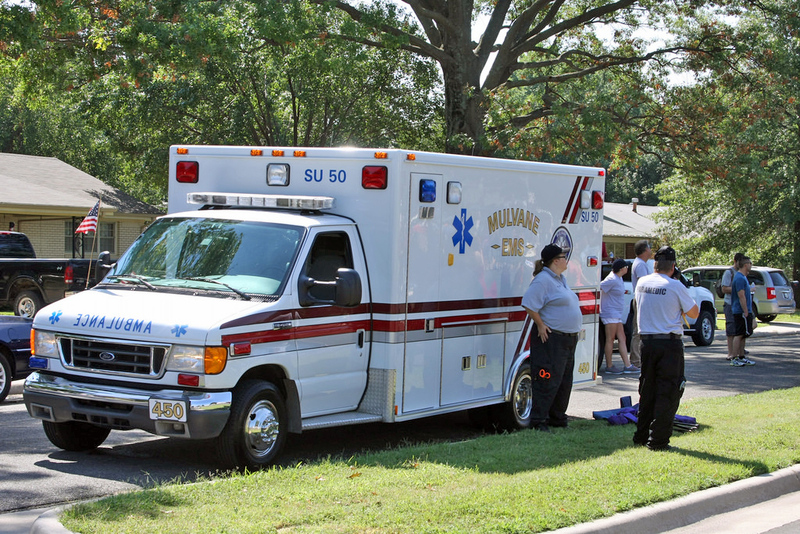 Mulvane EMS welcomes 9 new Paramedics! Kay Humphries, Amber Blankenship, Angela Gatschet, Ashley Zorn, Francine Harp, Gary Gayer, Jennifer Love, Mike Sanchez & Patrick Sellers.